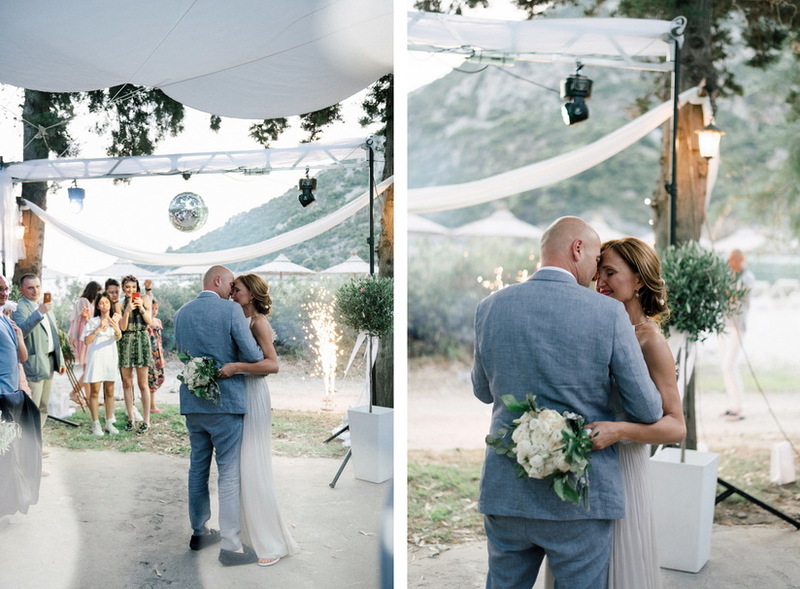 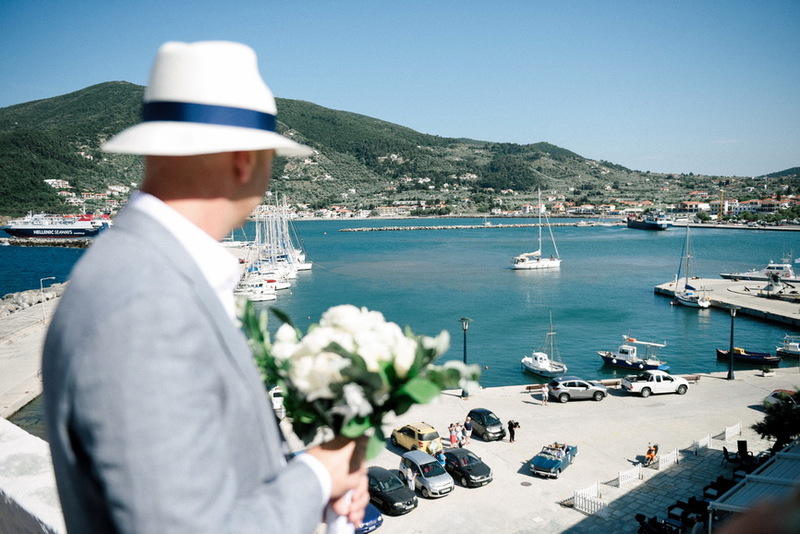 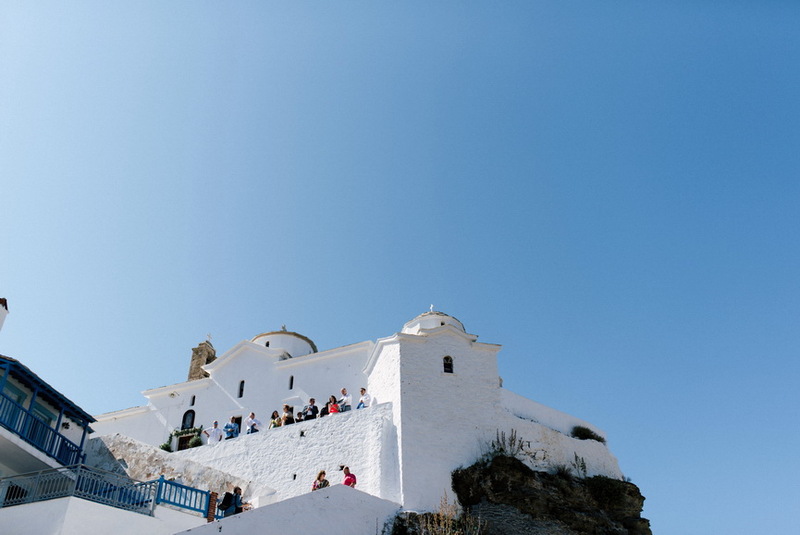 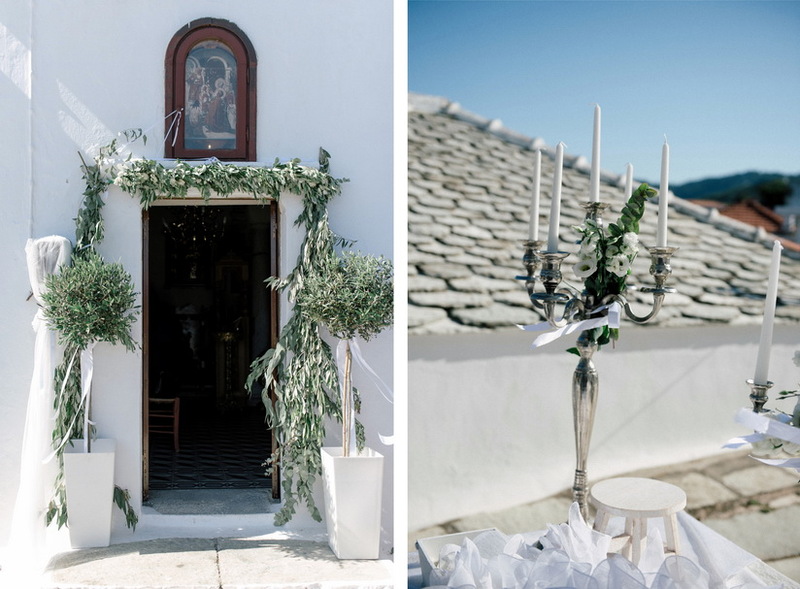 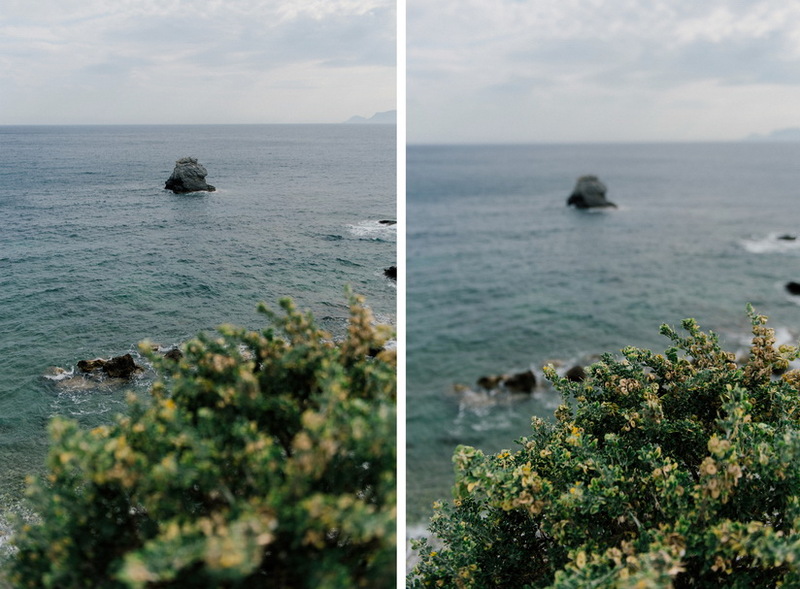 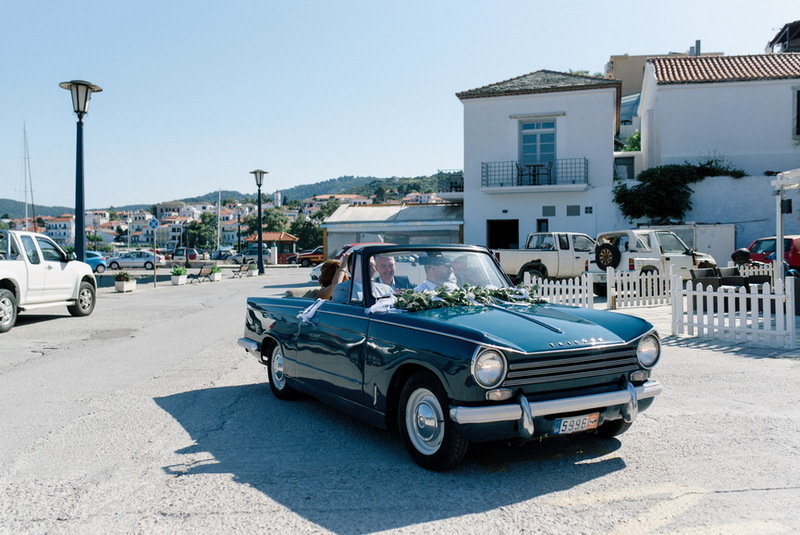 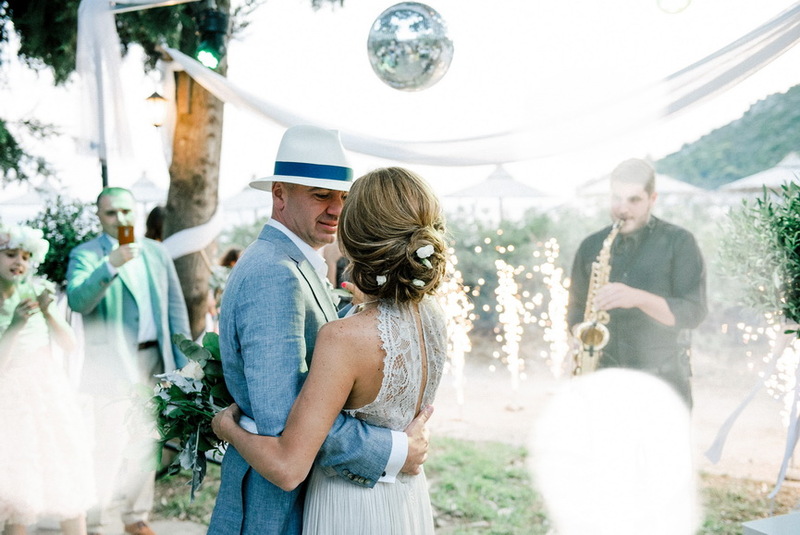 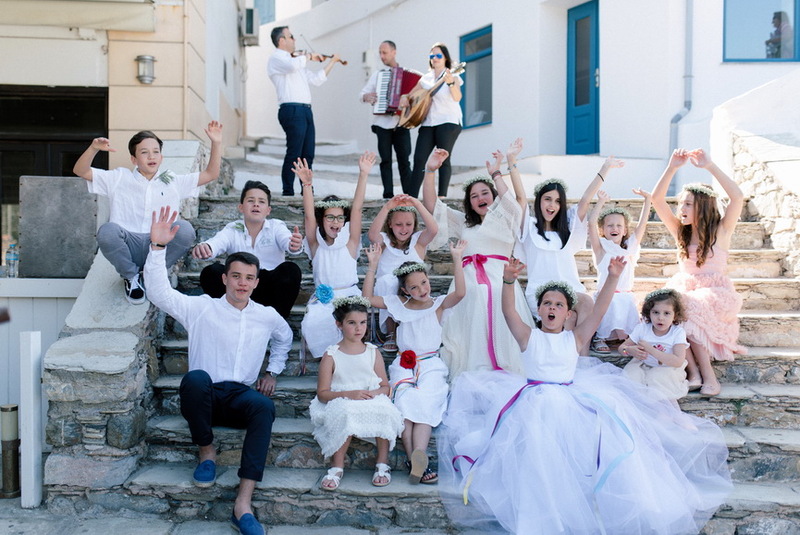 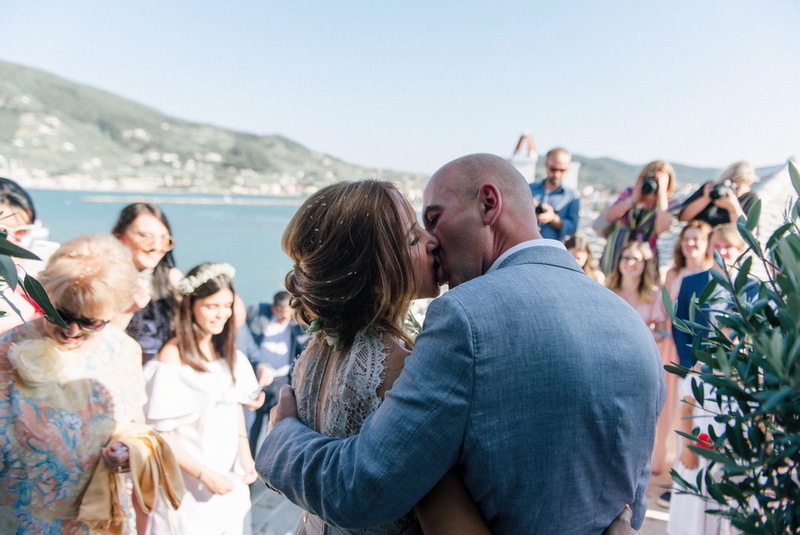 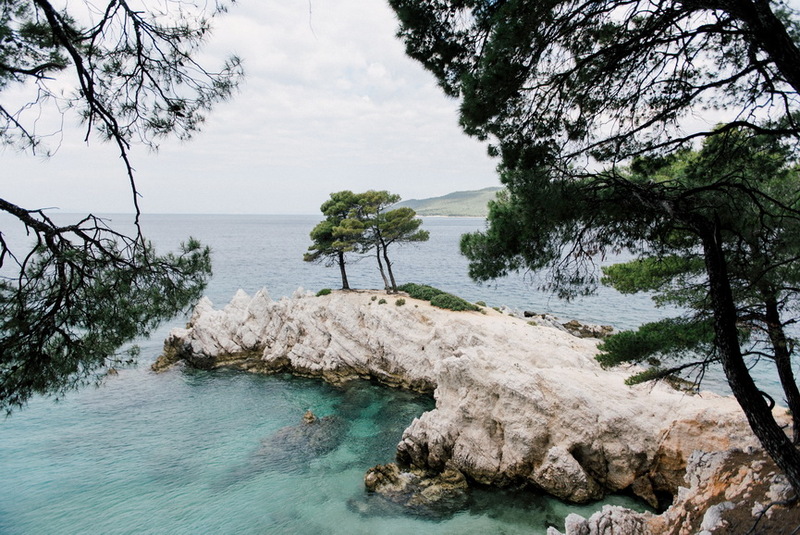 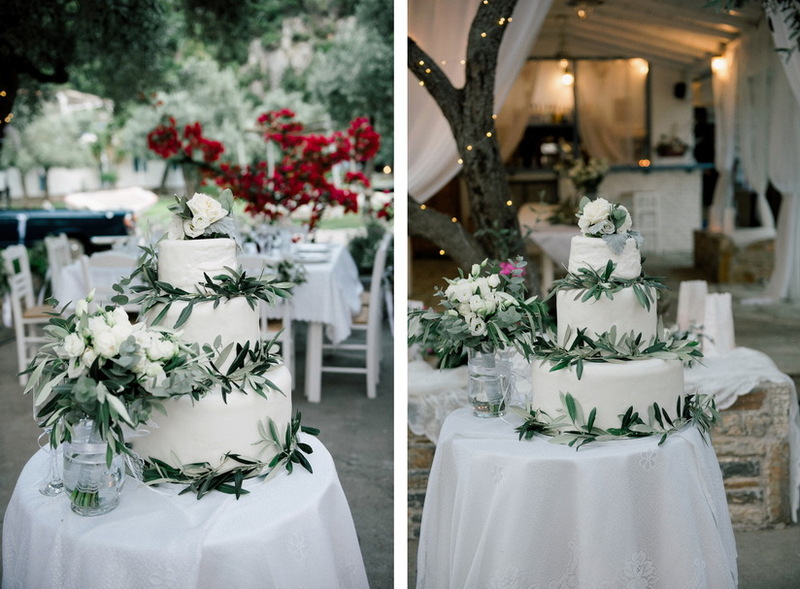 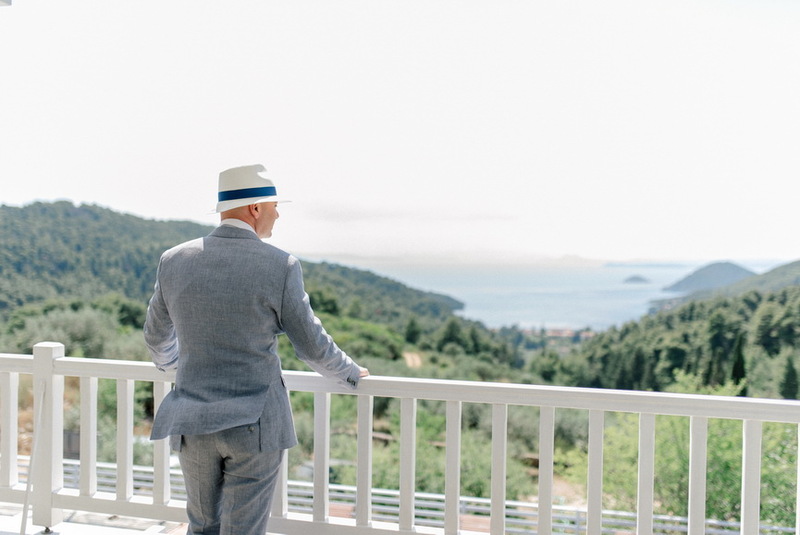 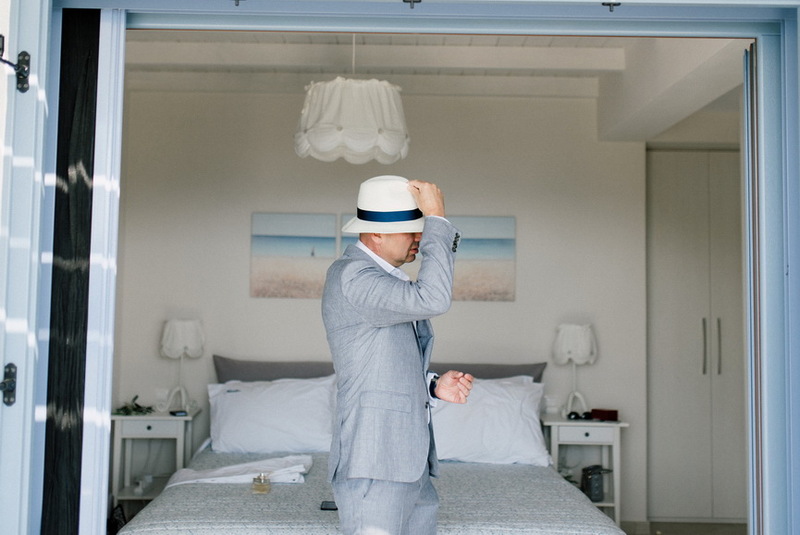 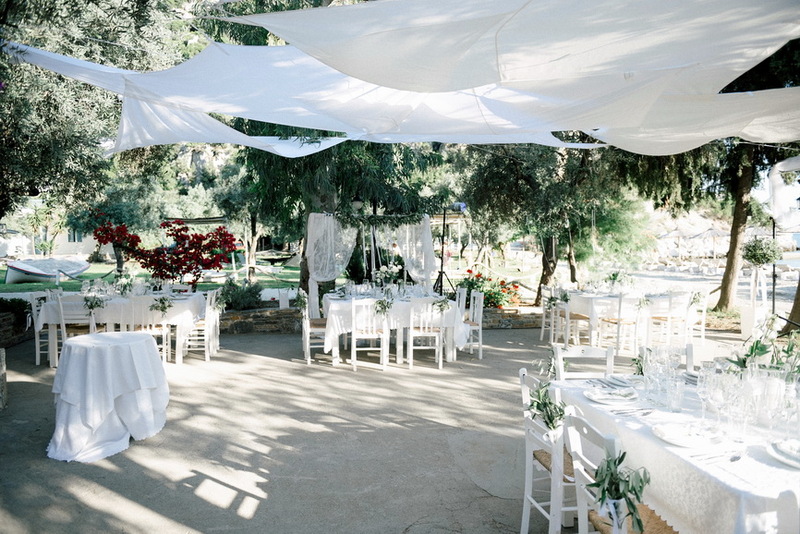 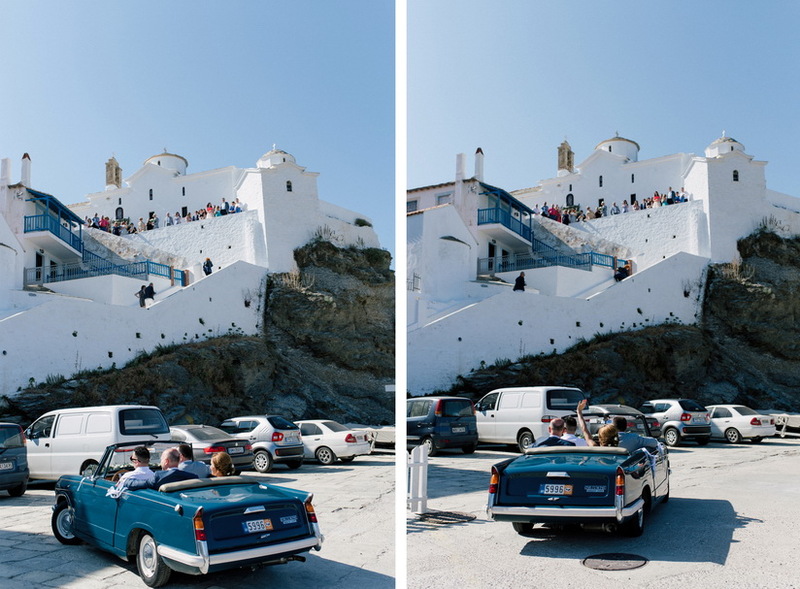 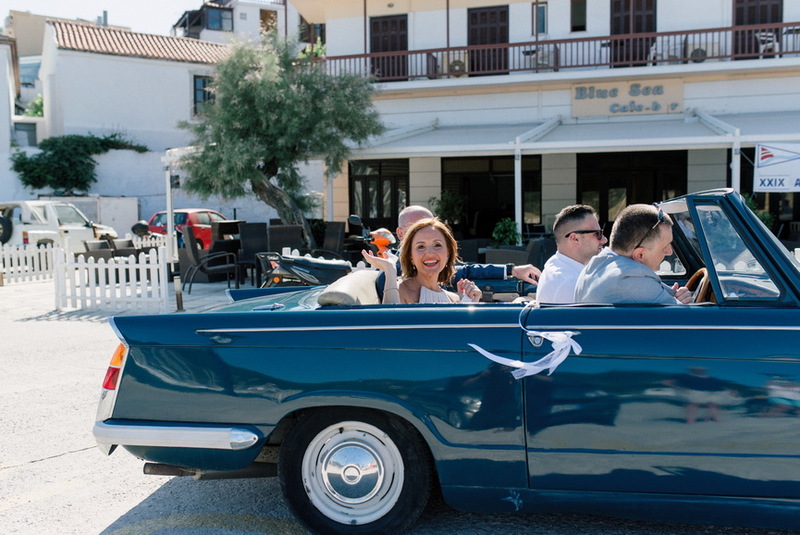 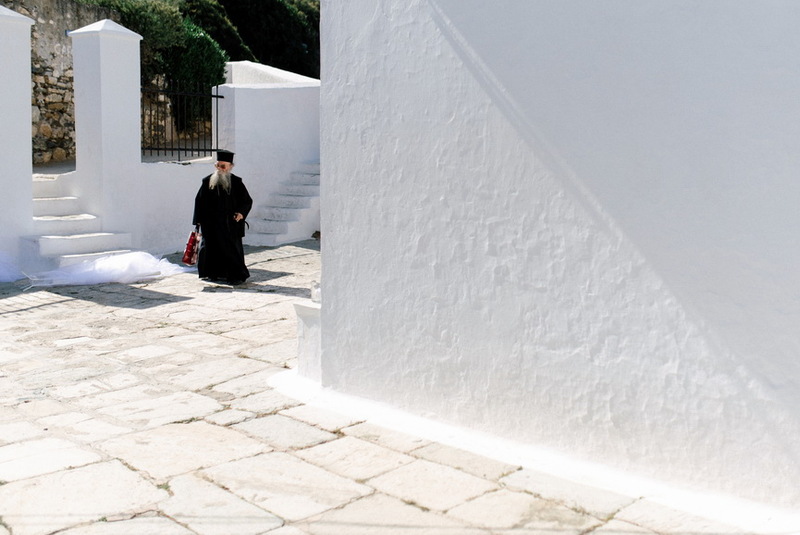 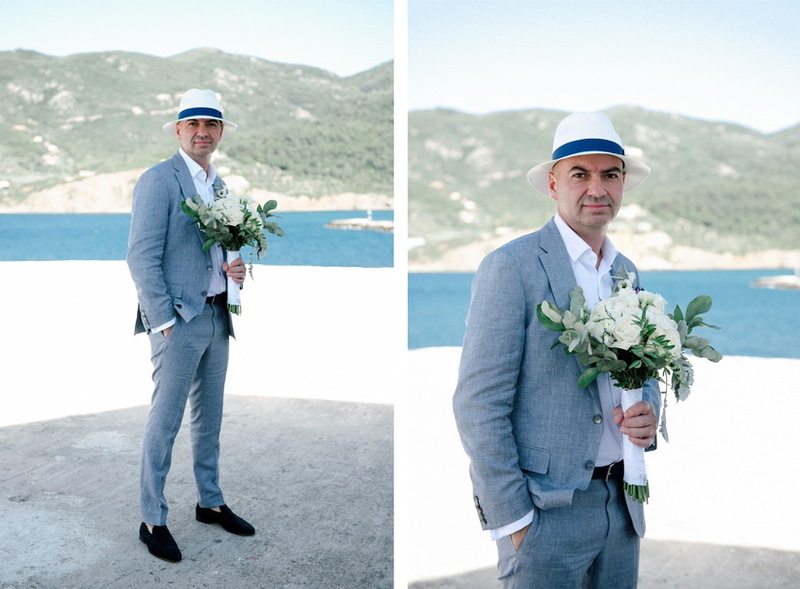 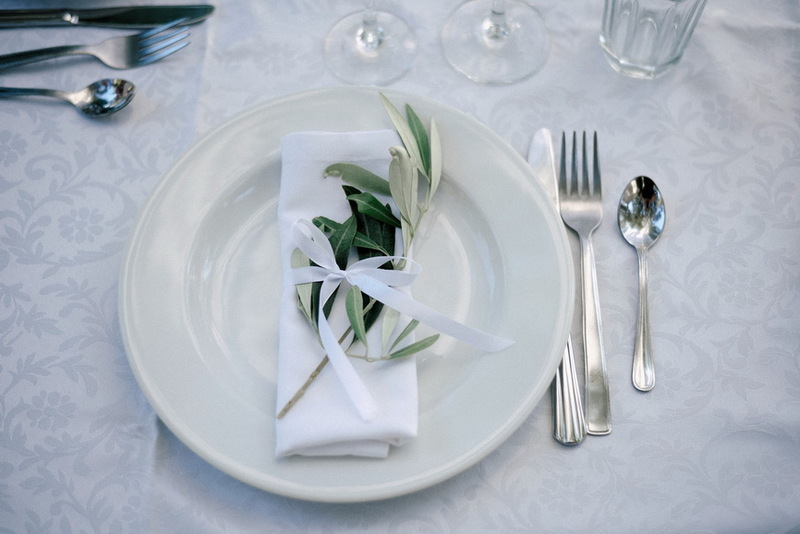 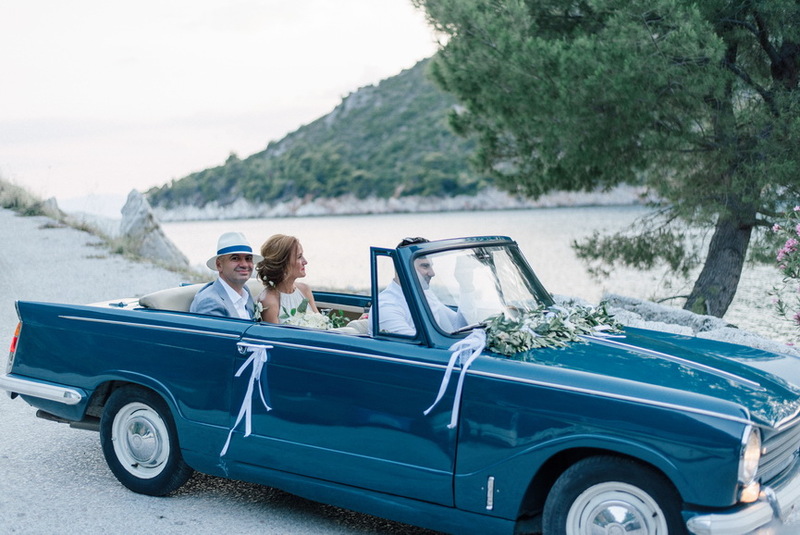 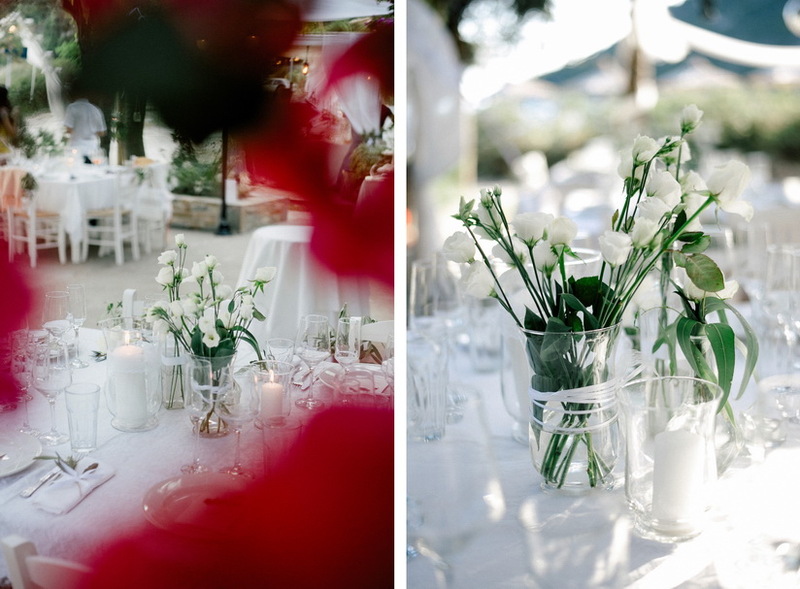 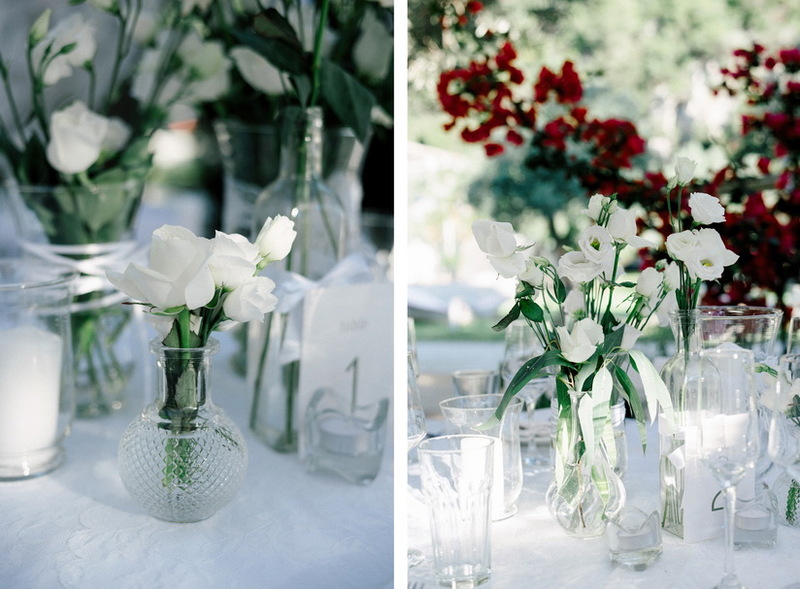 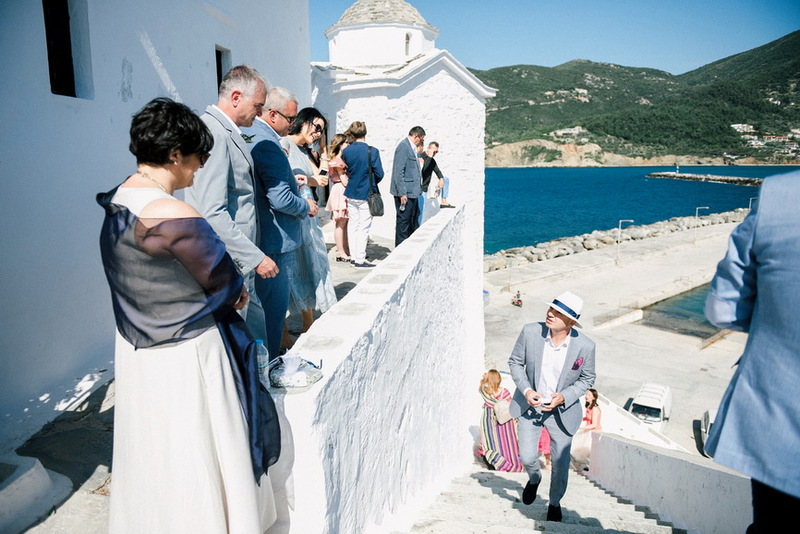 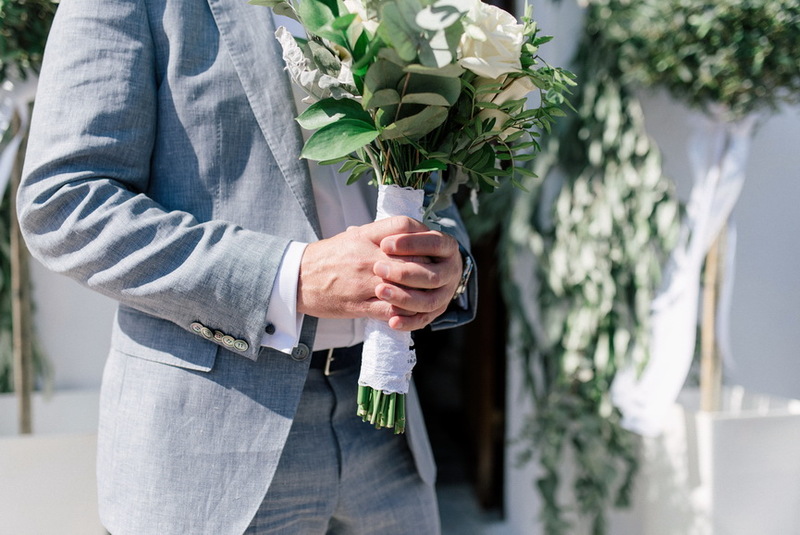 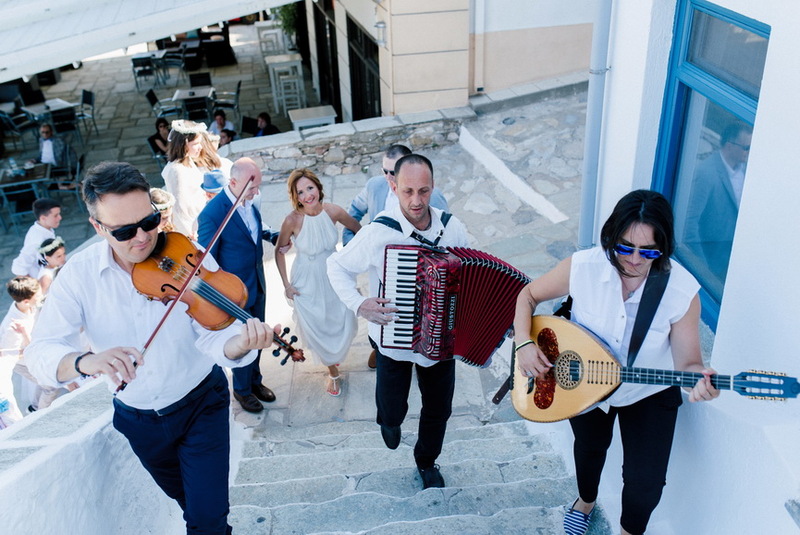 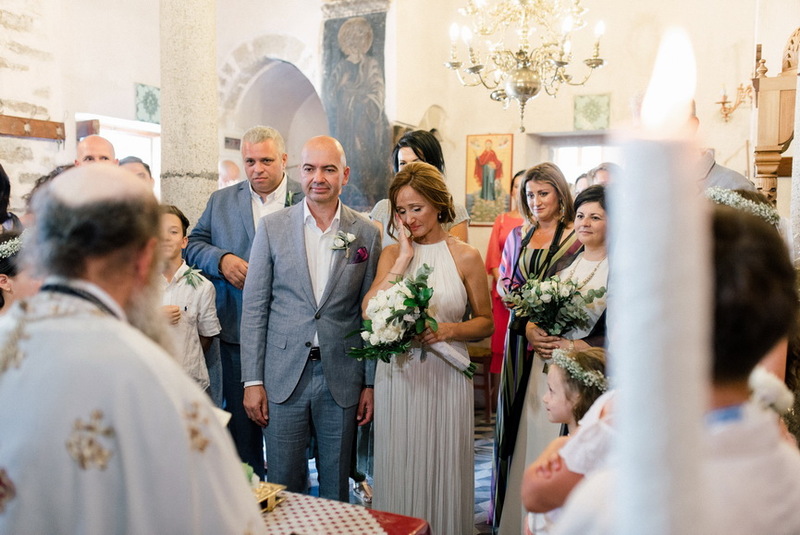 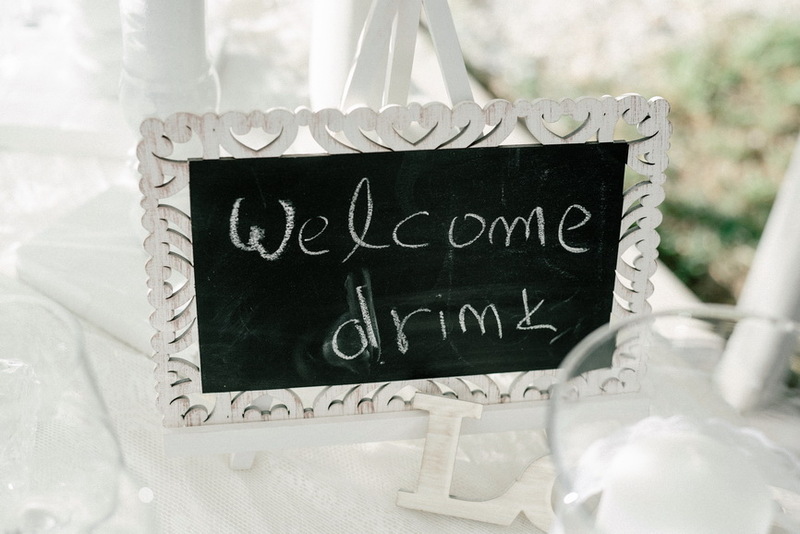 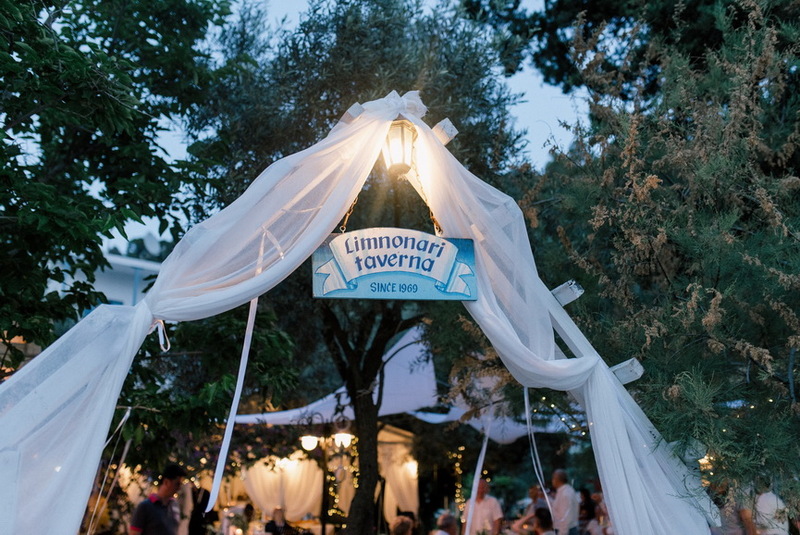 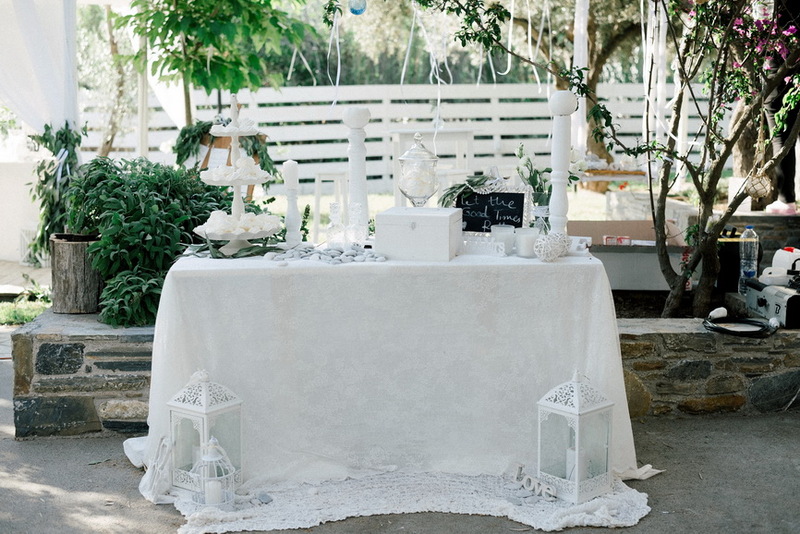 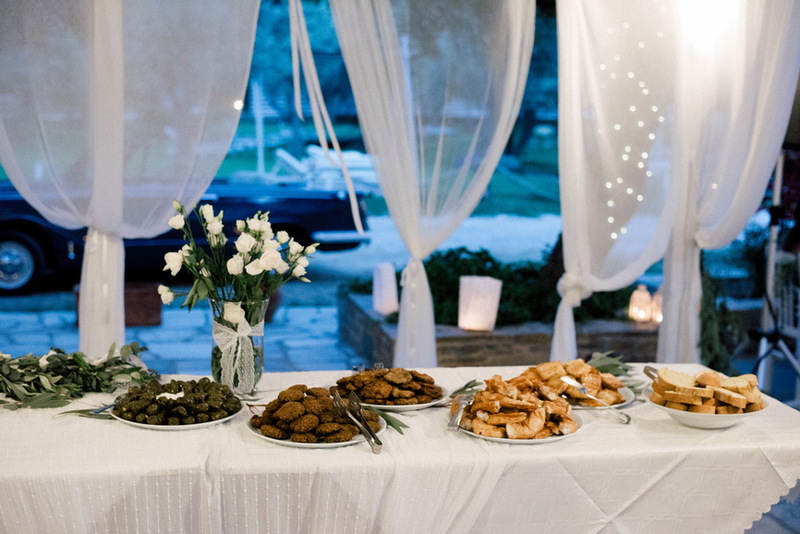 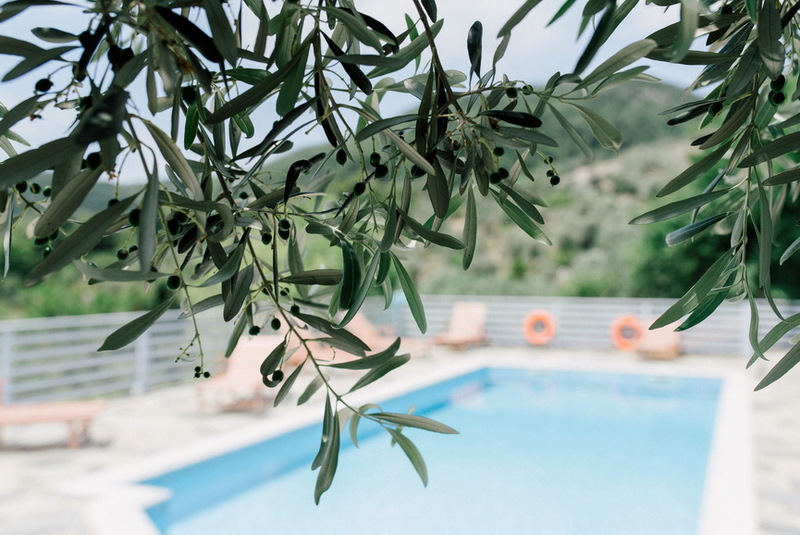 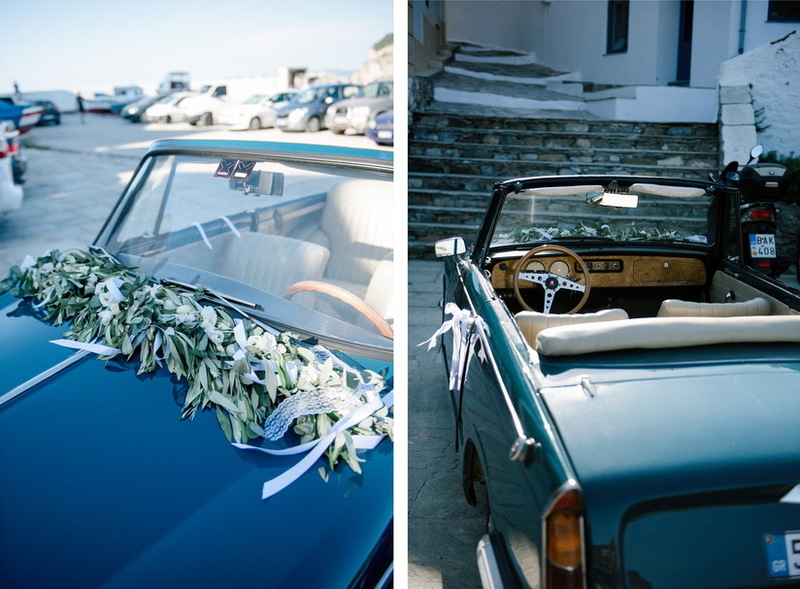 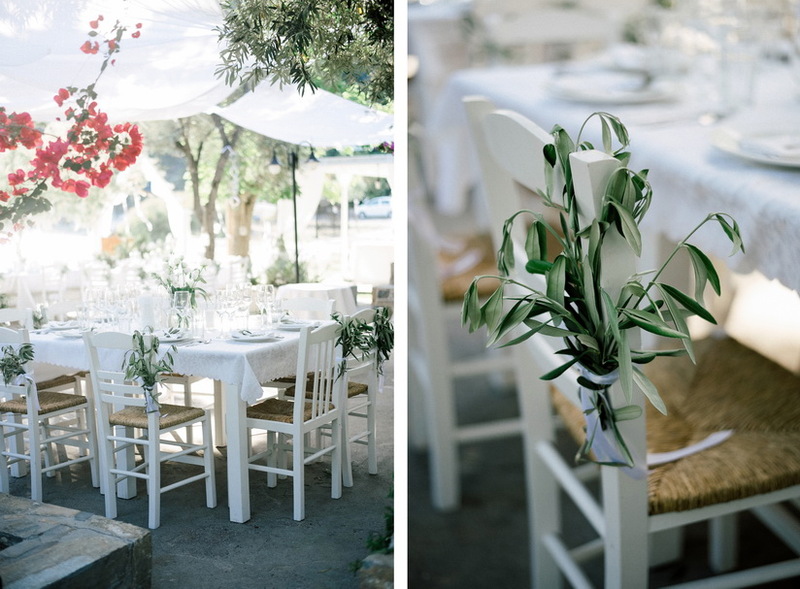 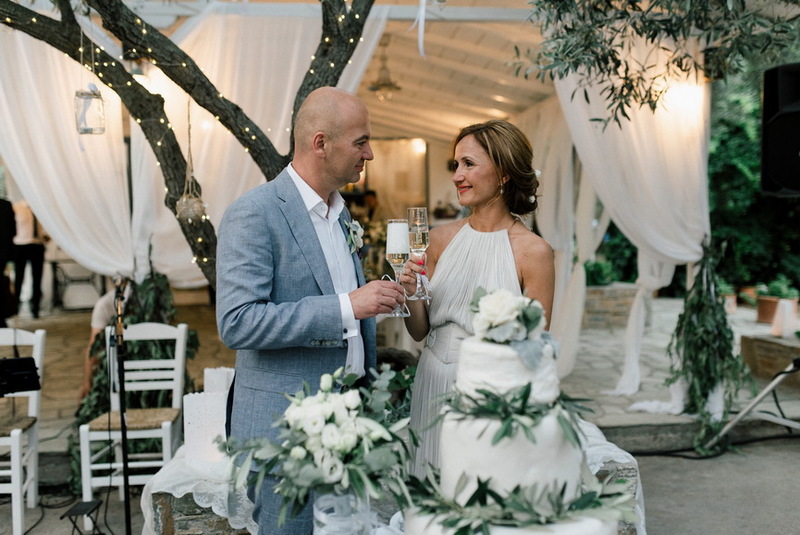 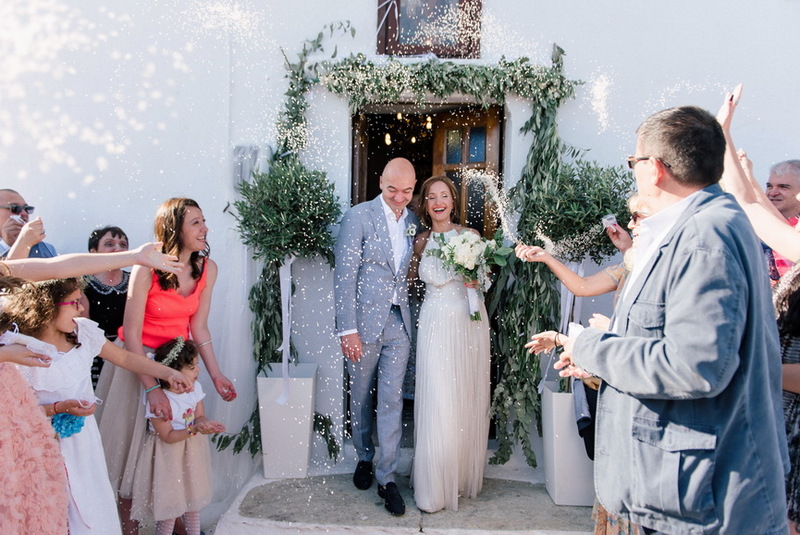 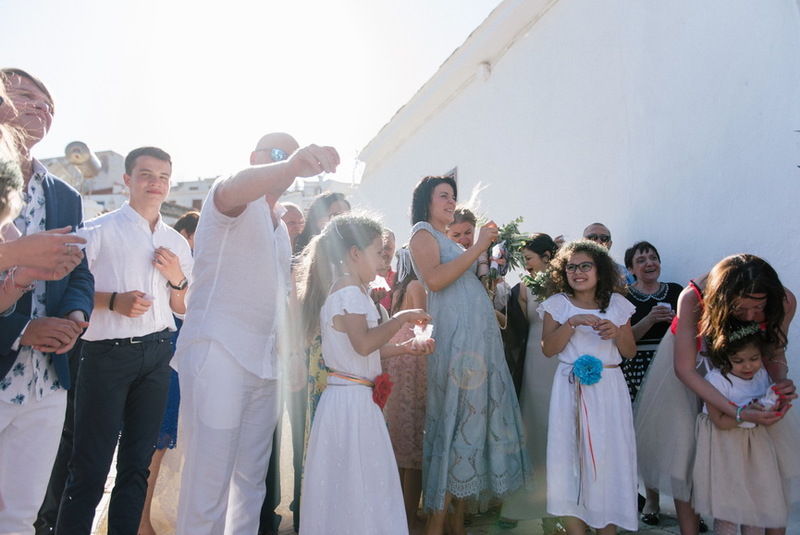 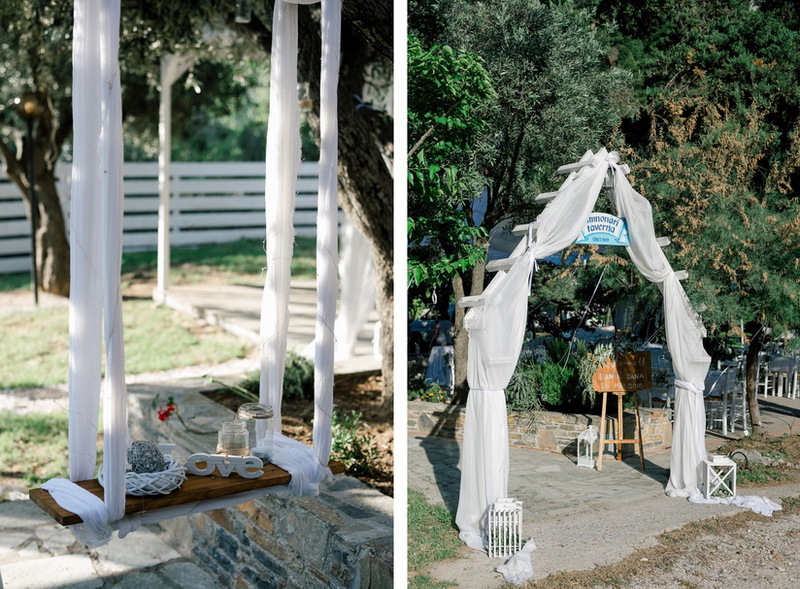 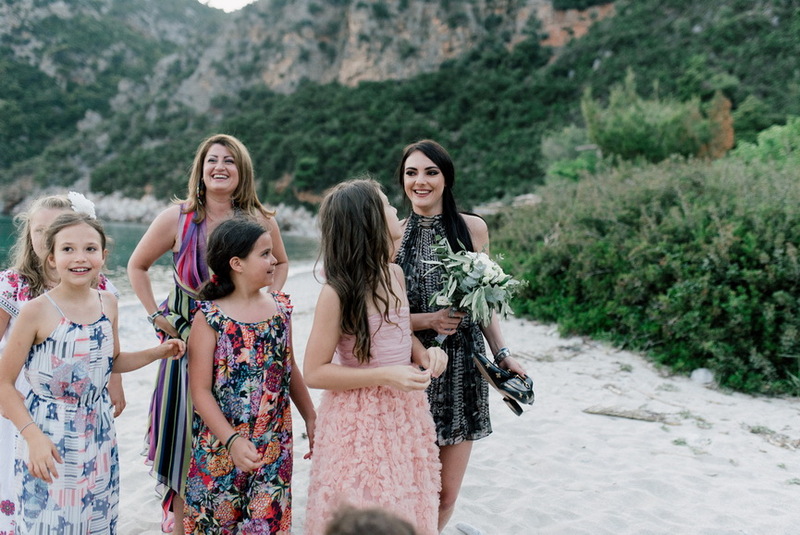 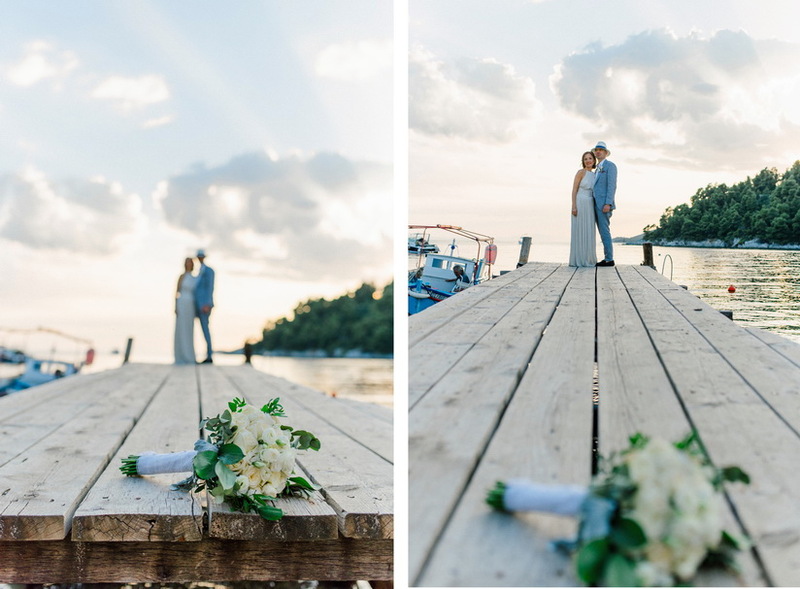 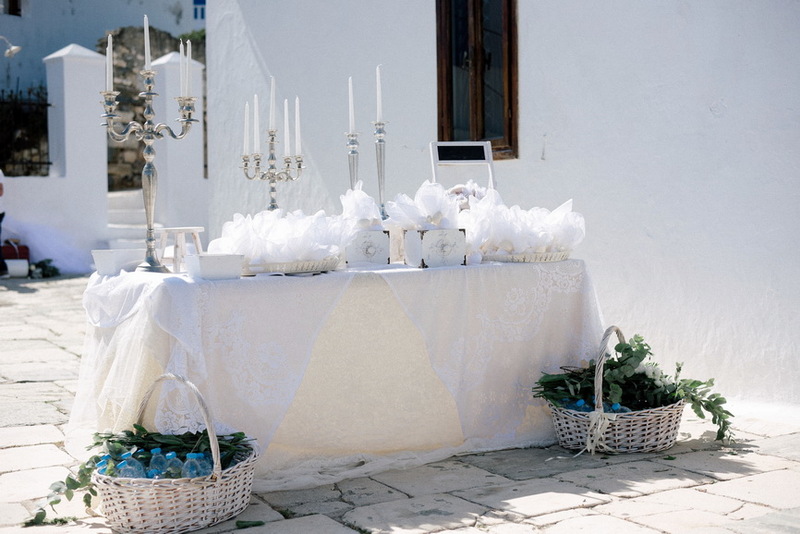 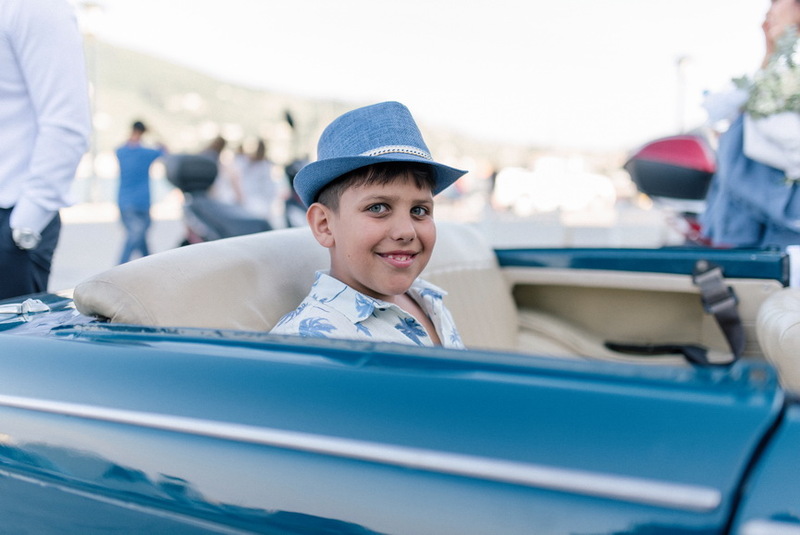 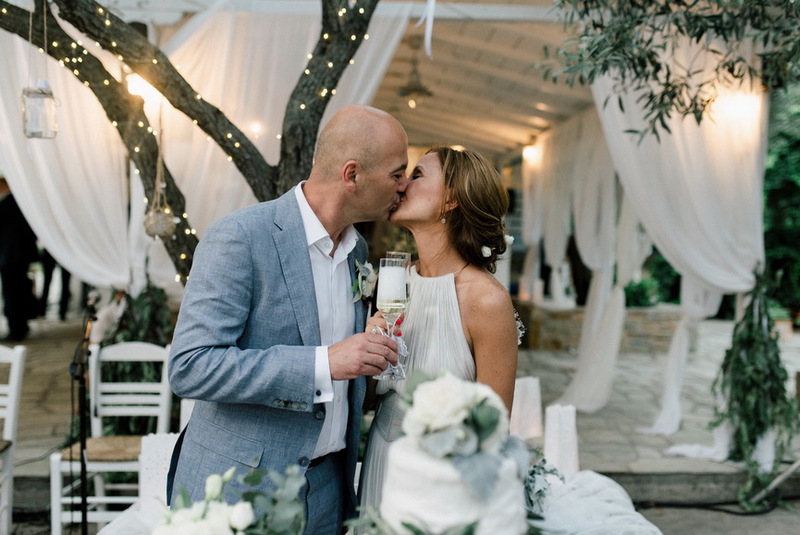 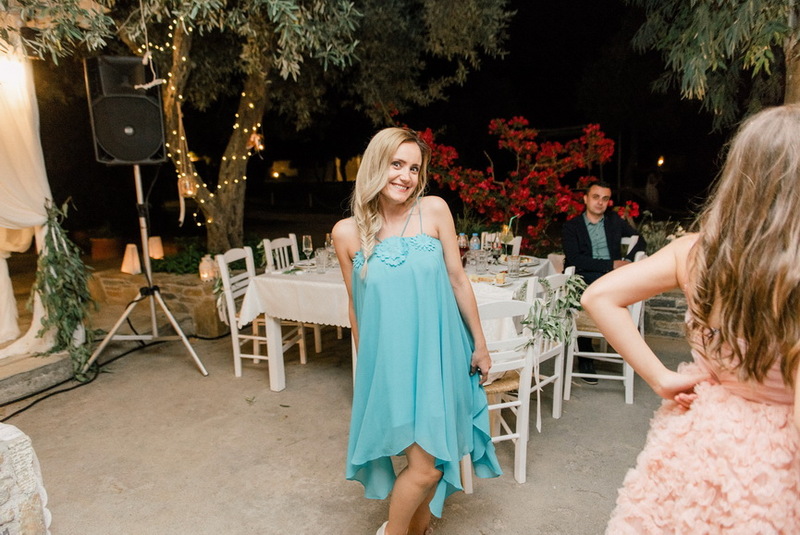 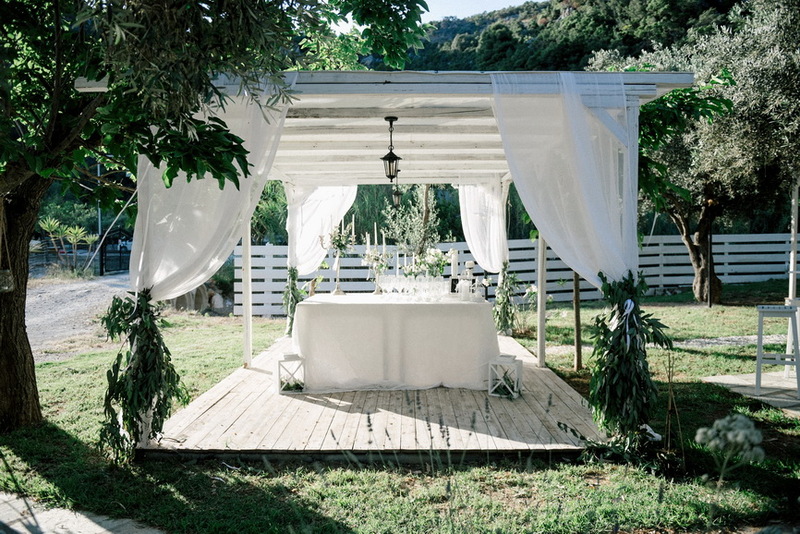 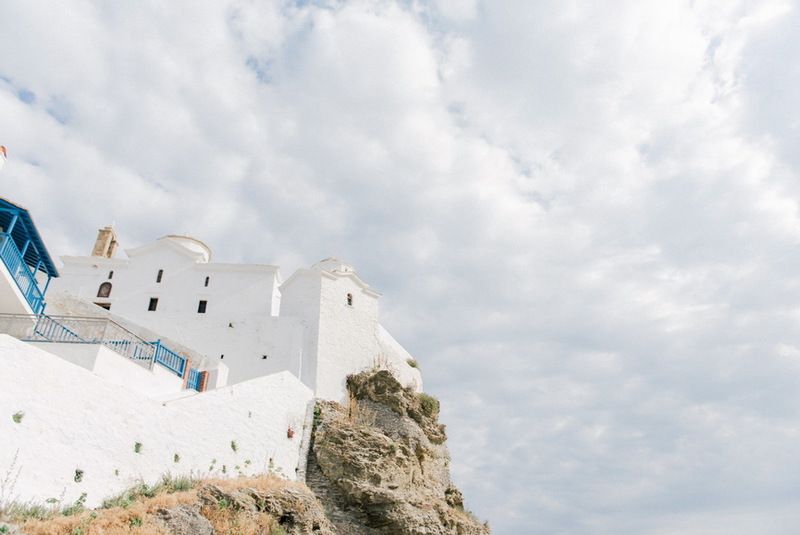 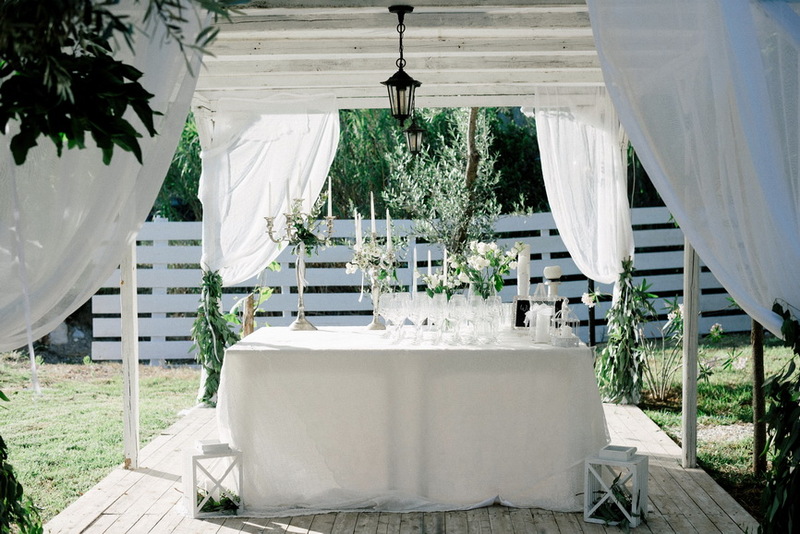 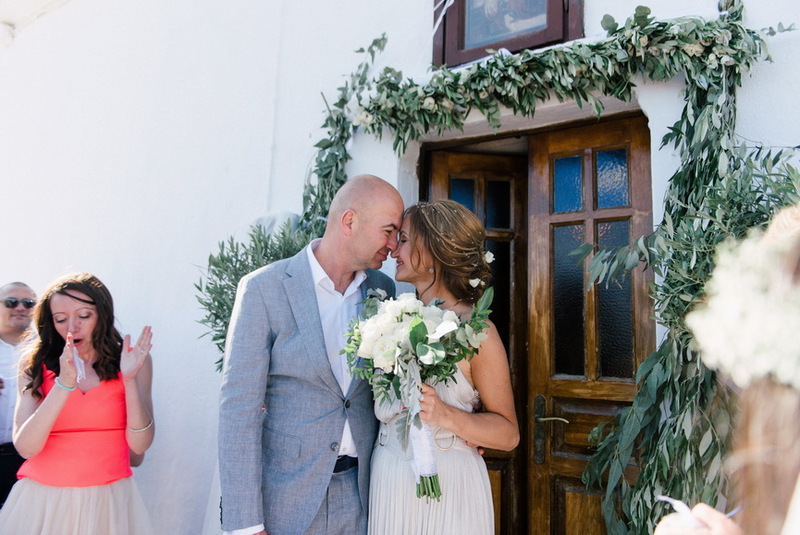 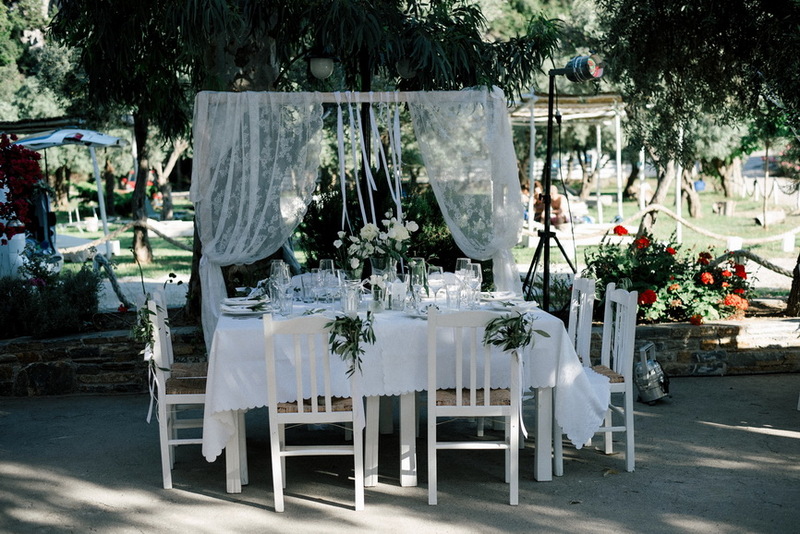 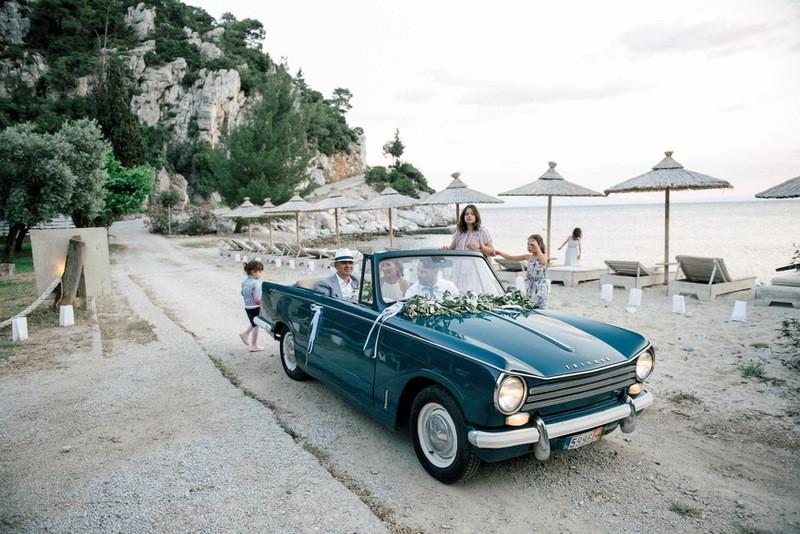 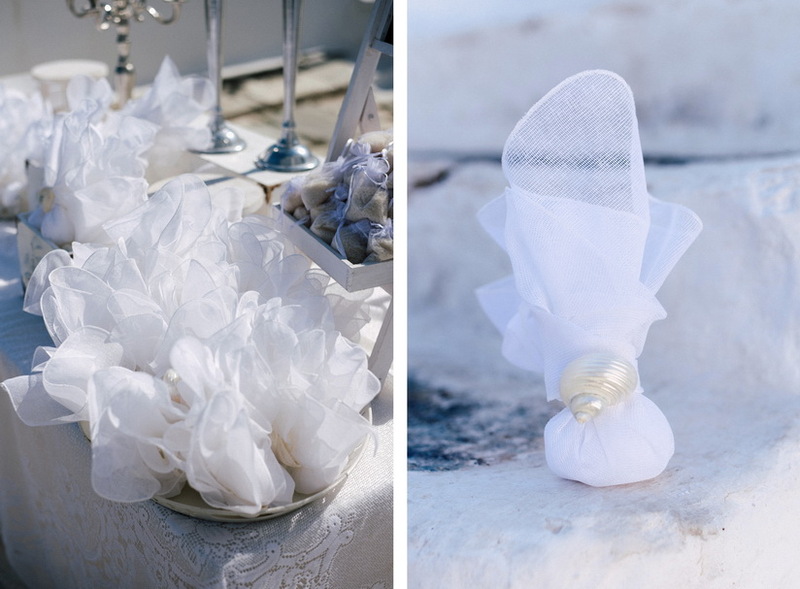 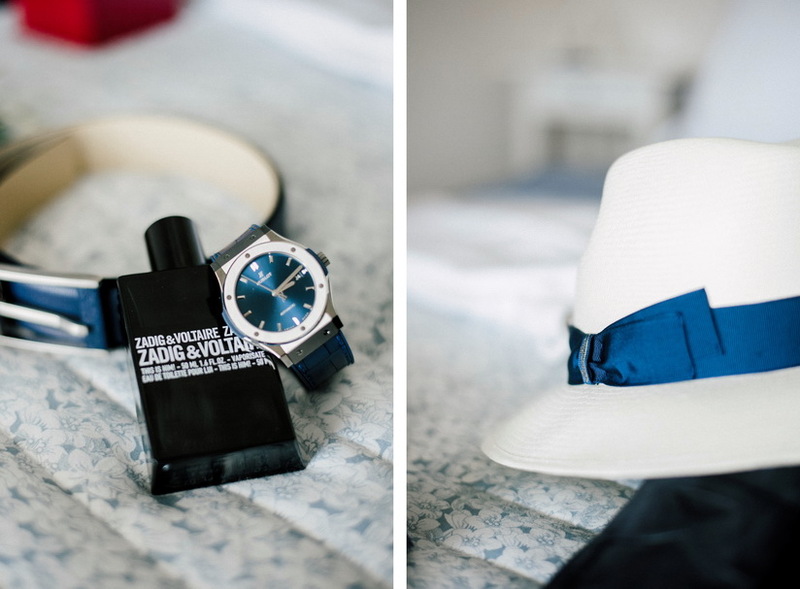 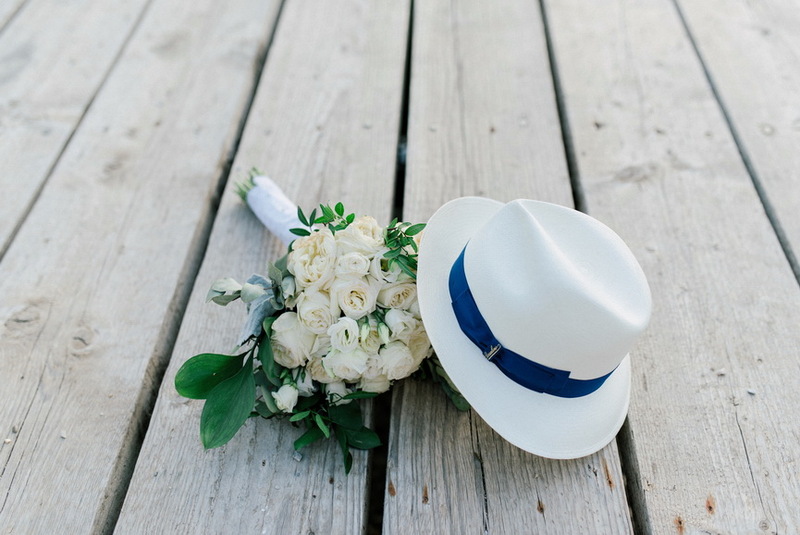 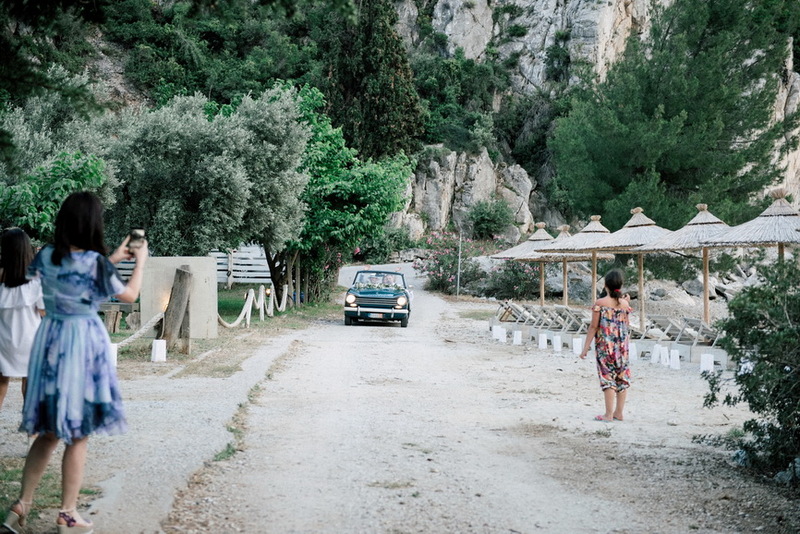 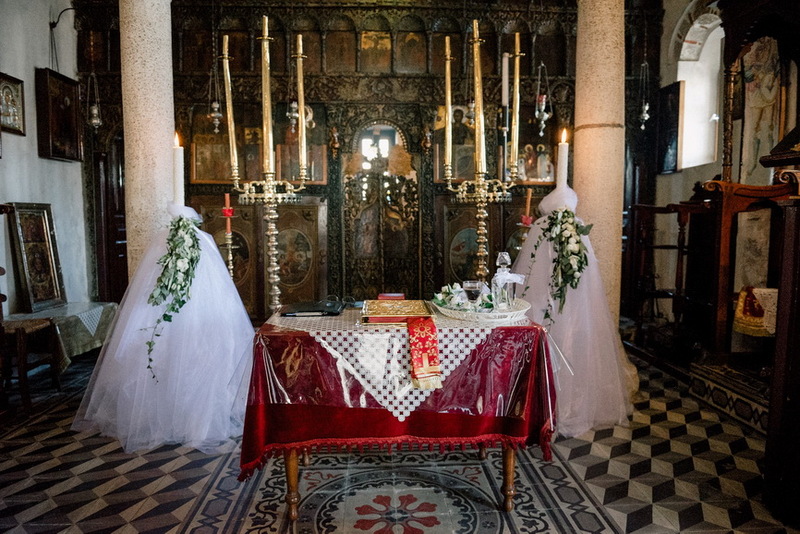 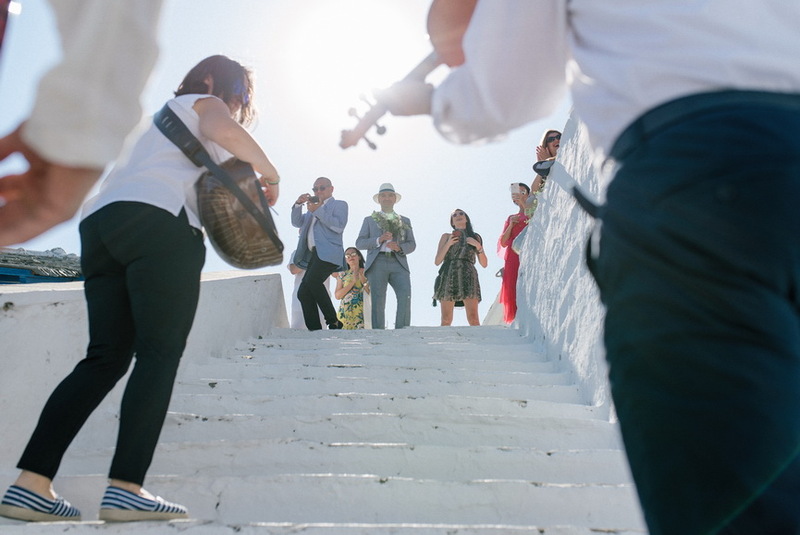 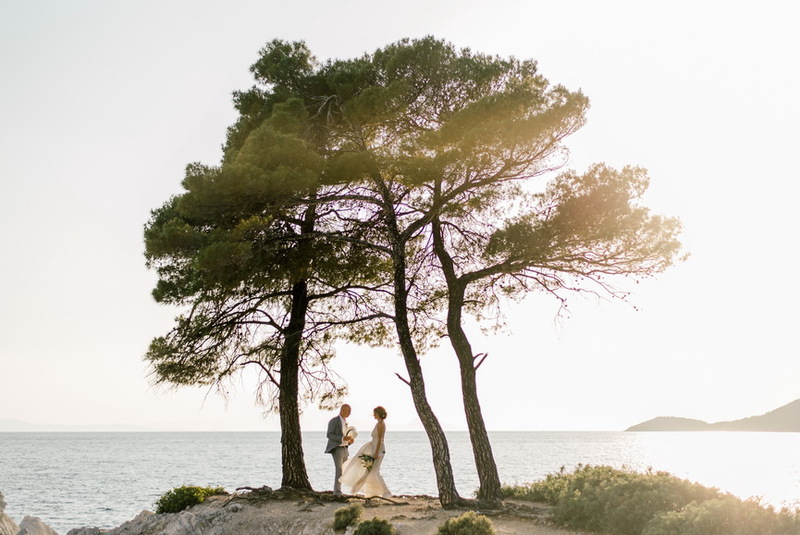 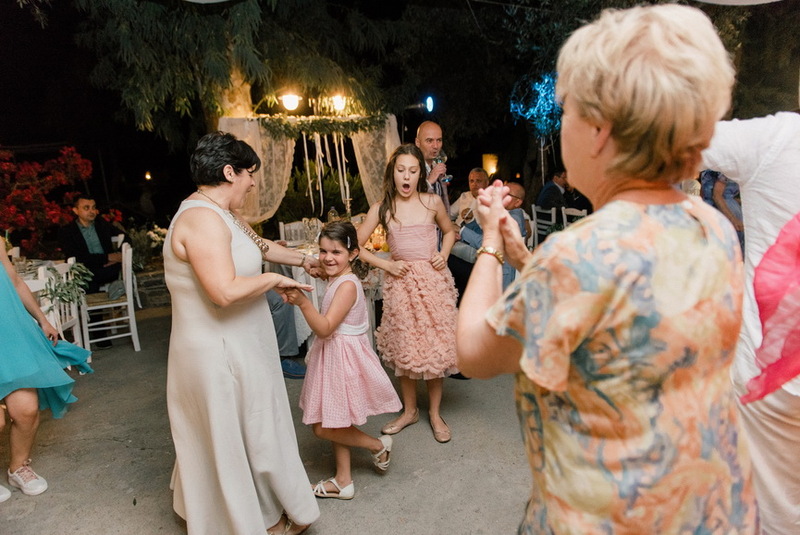 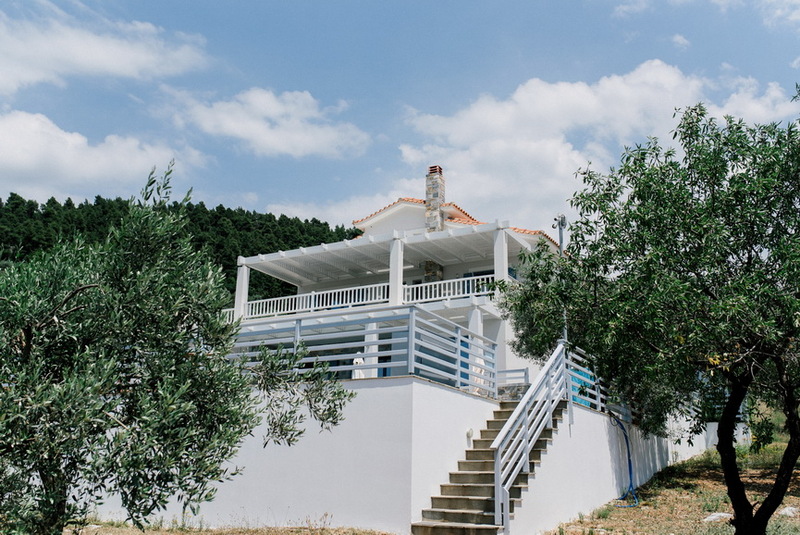 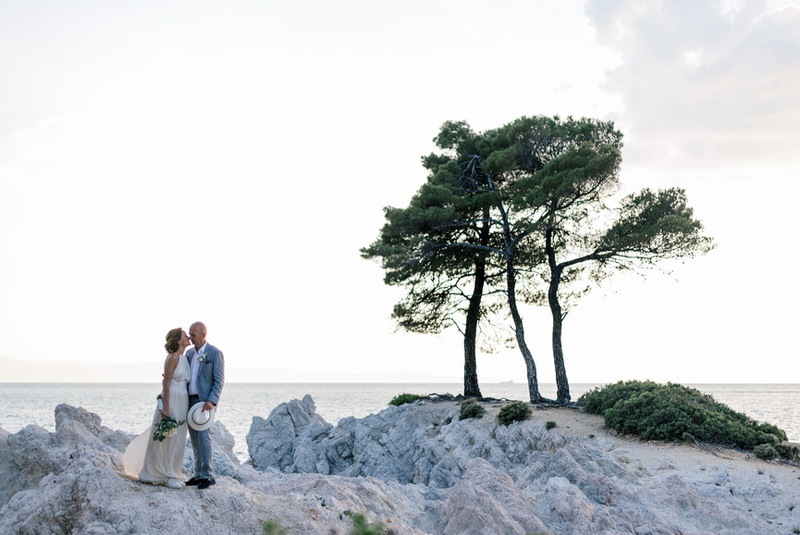 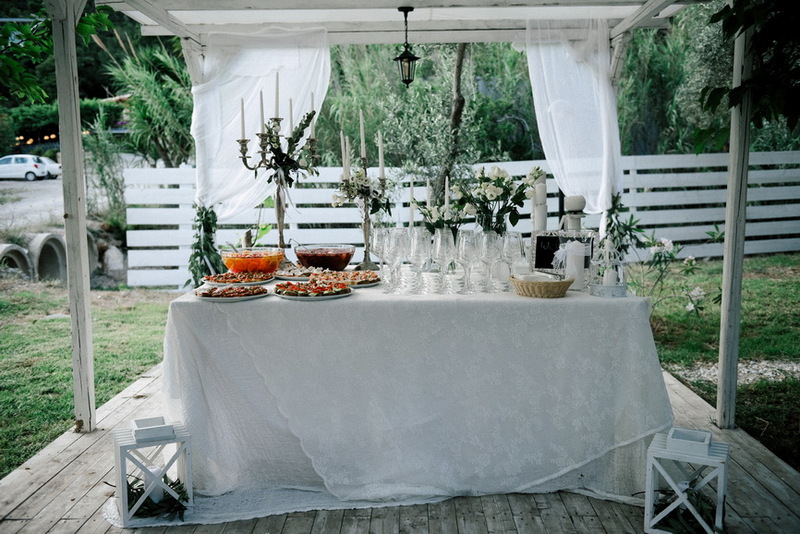 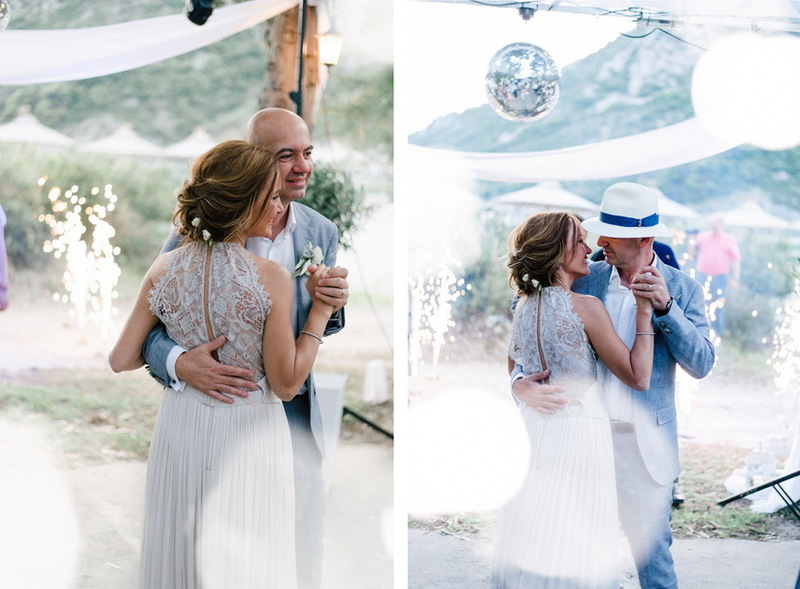 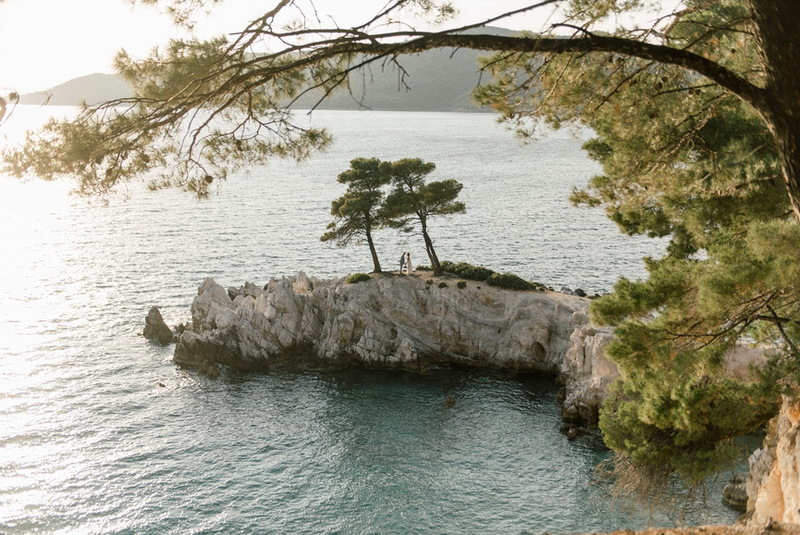 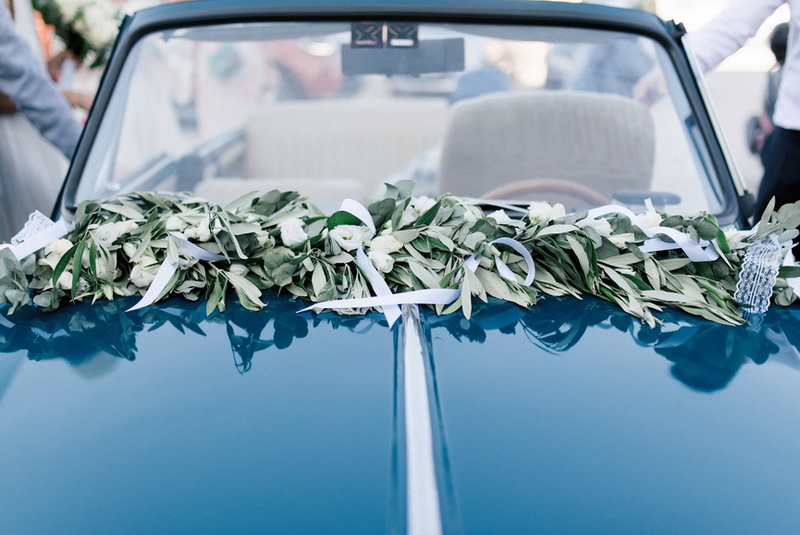 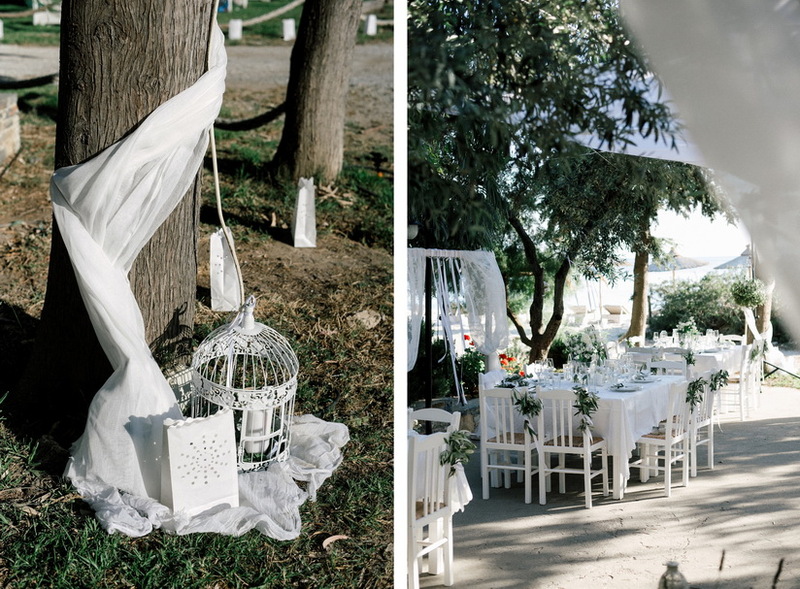 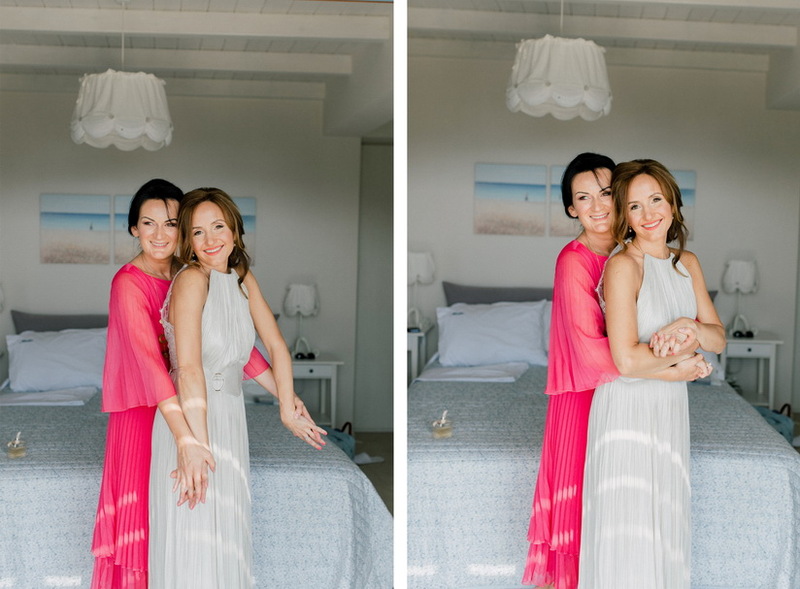 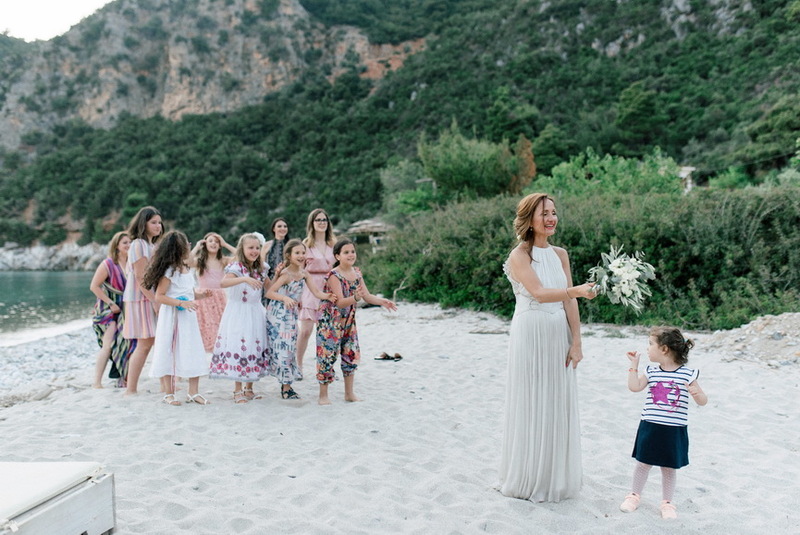 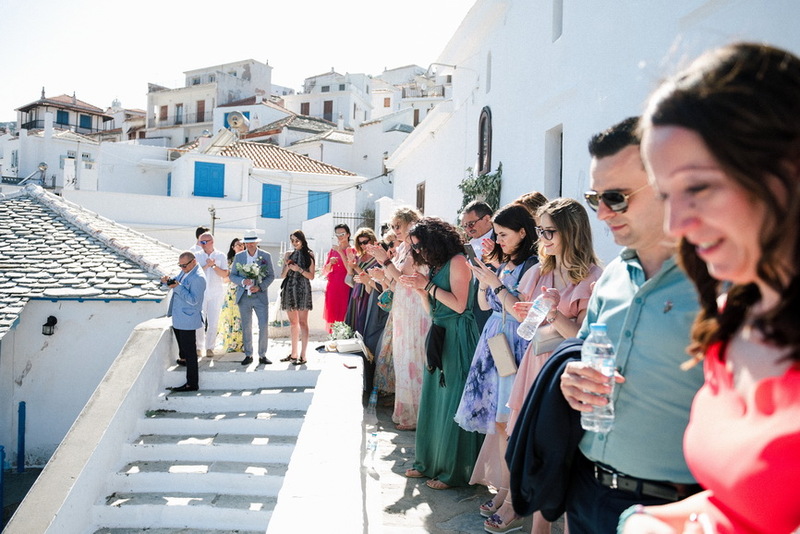 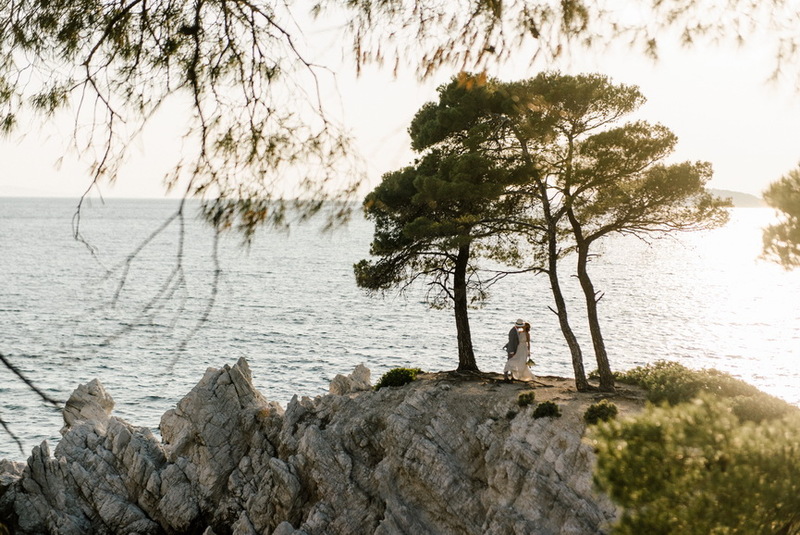 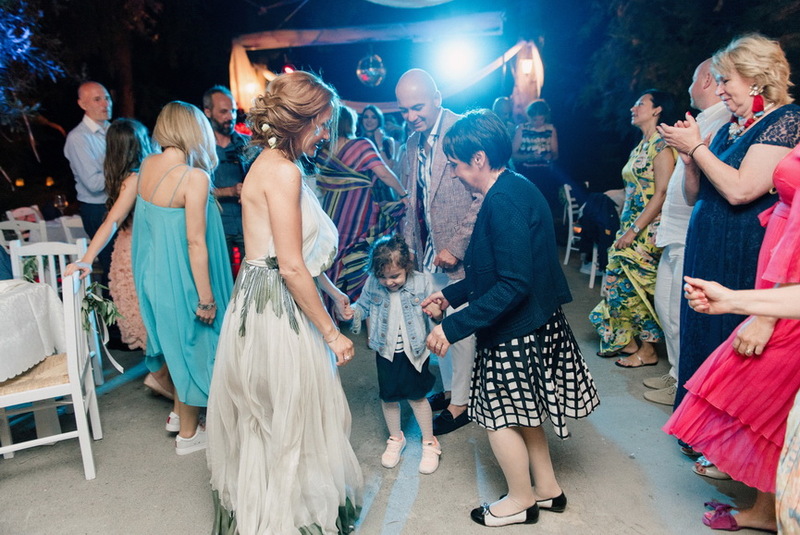 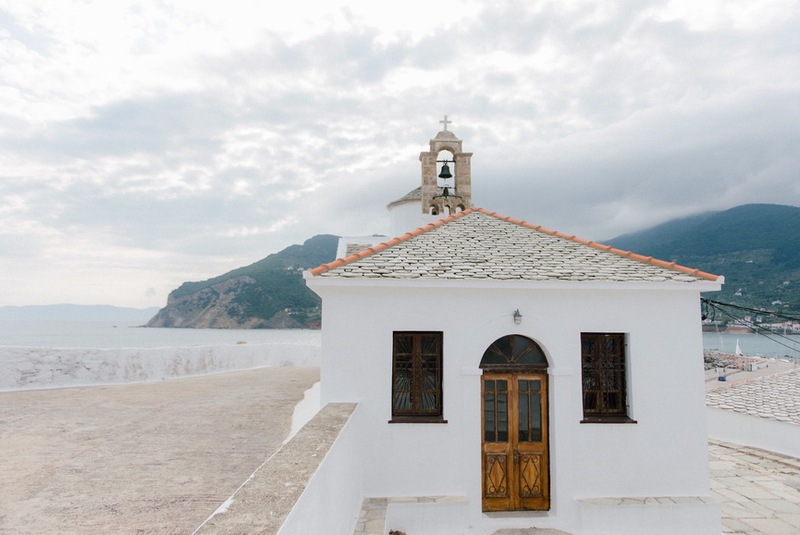 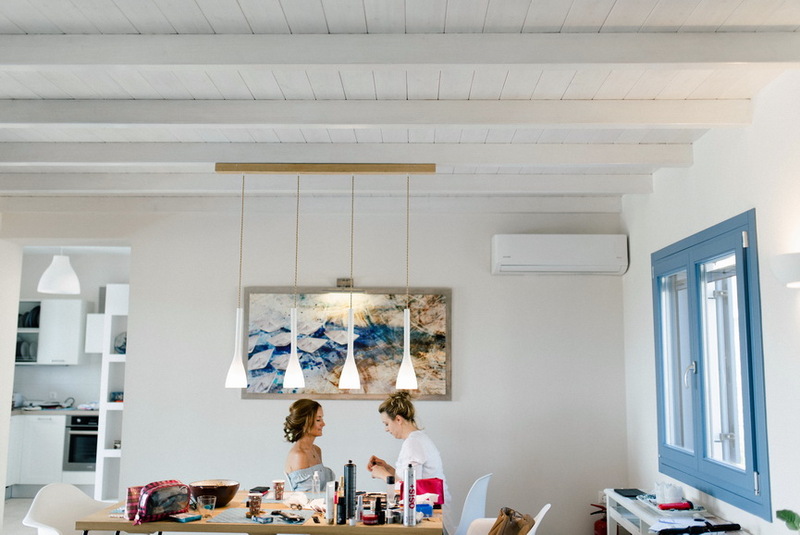 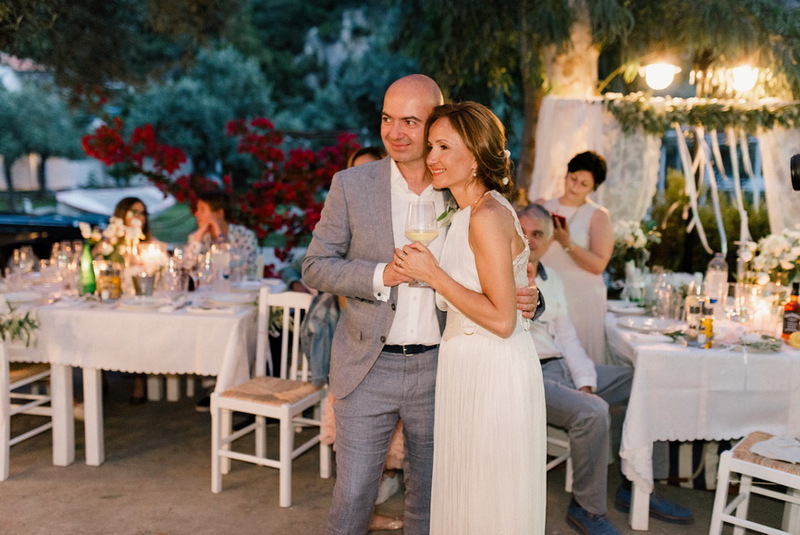 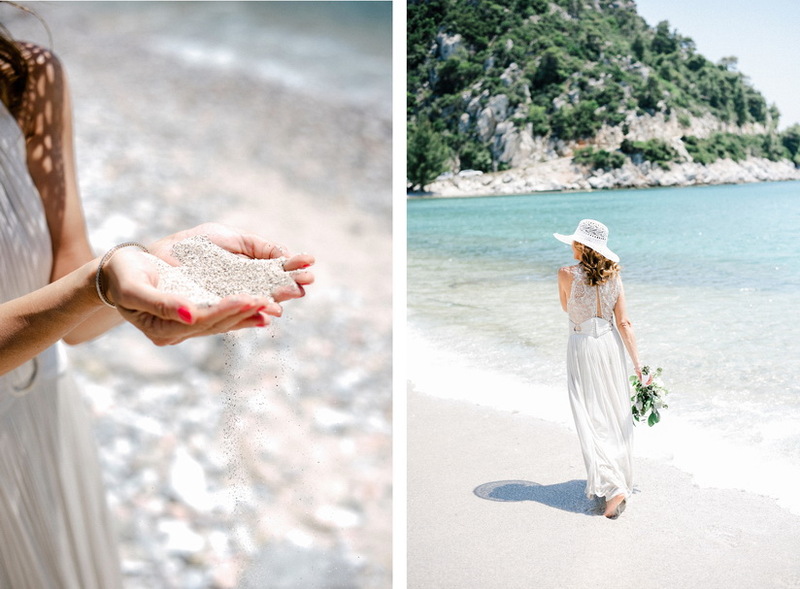 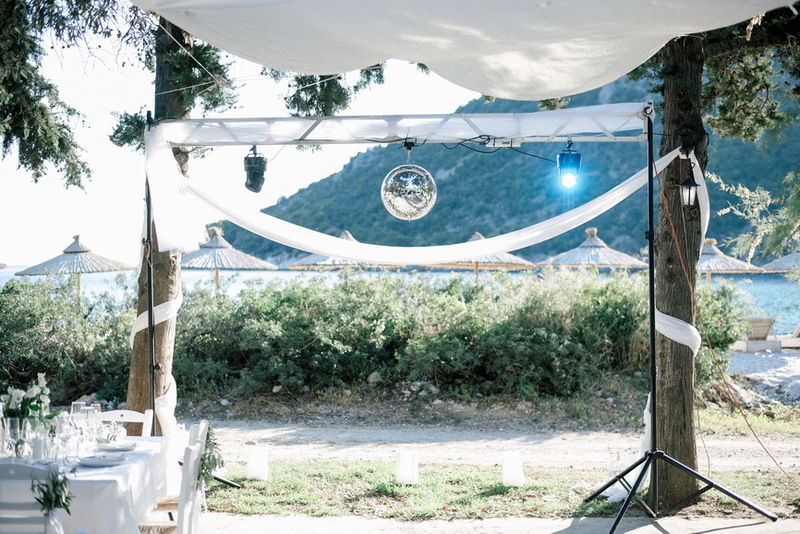 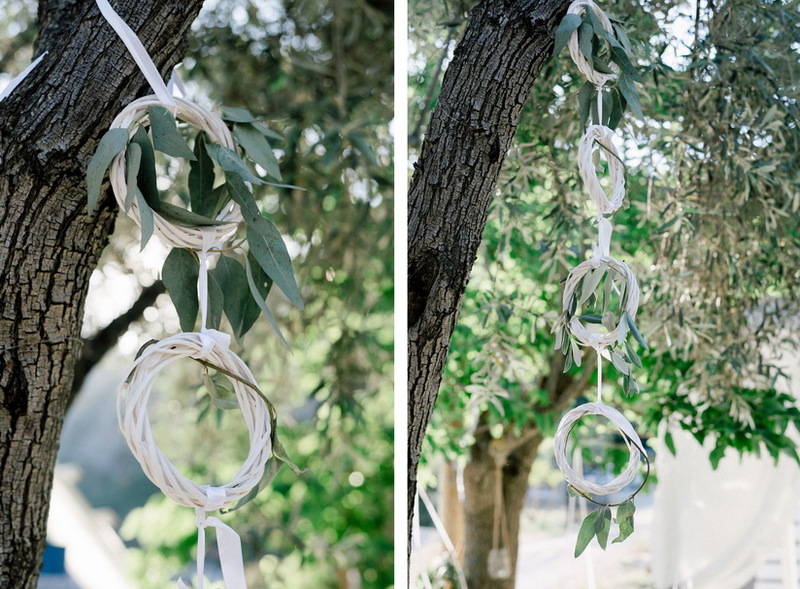 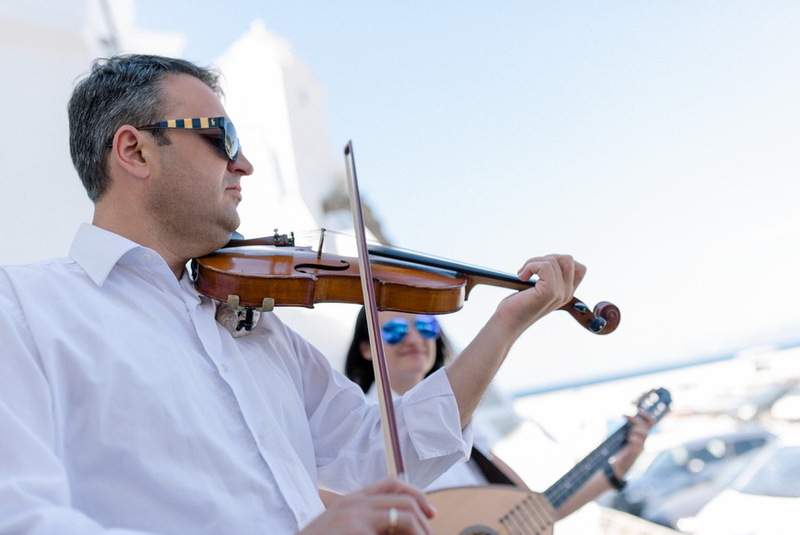 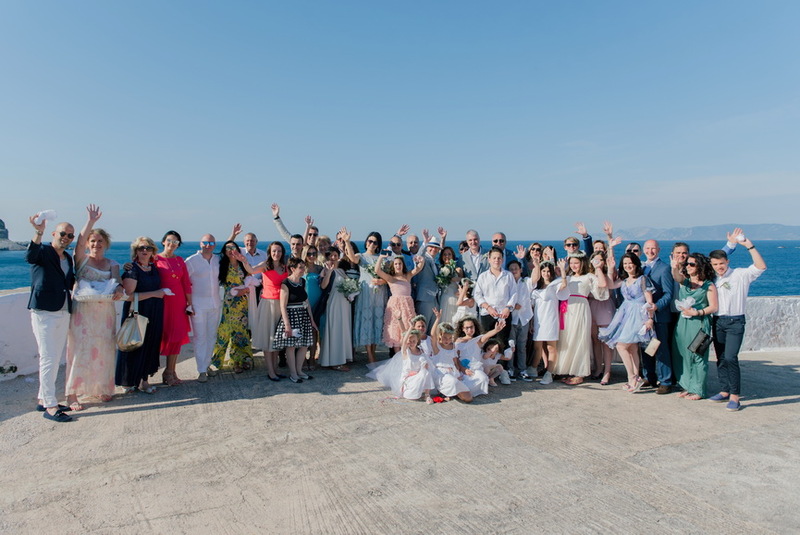 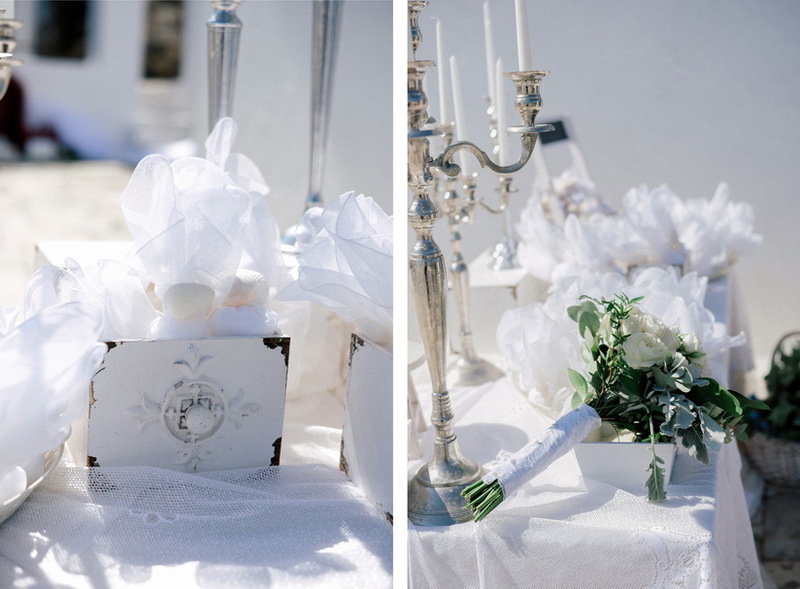 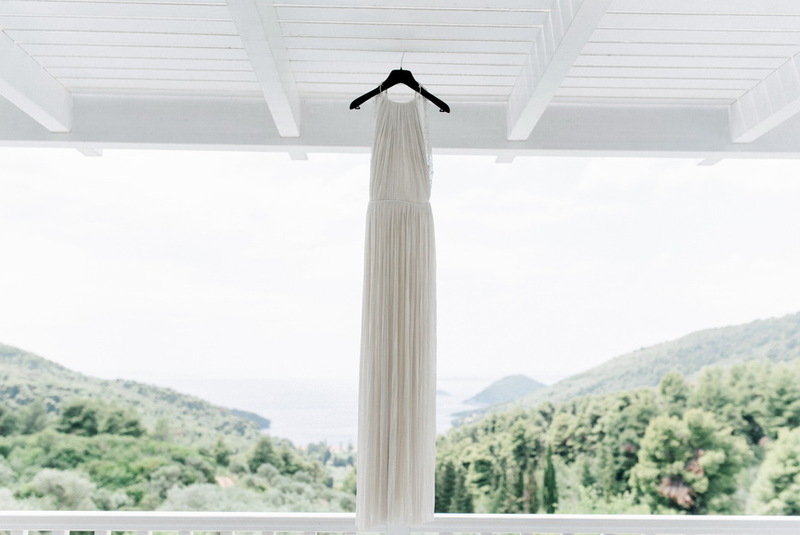 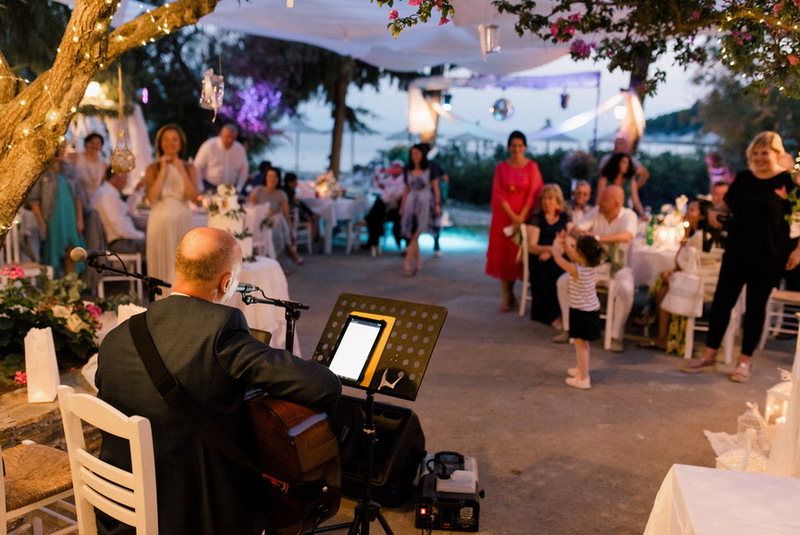 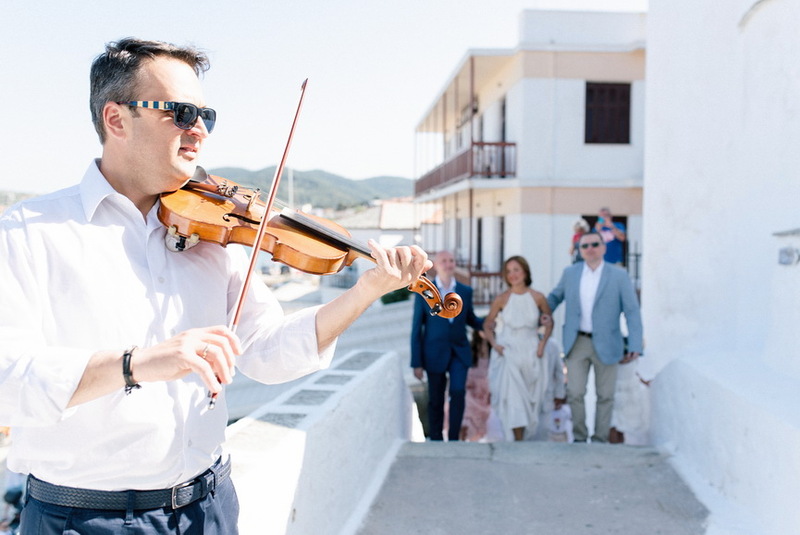 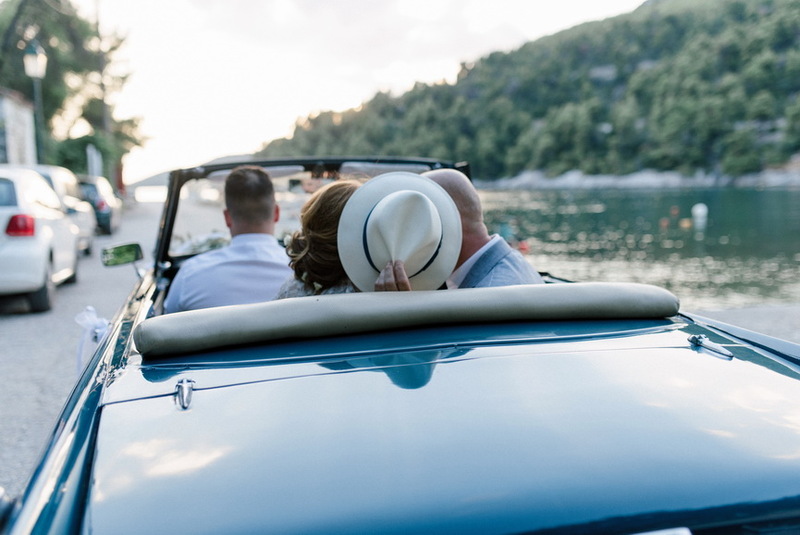 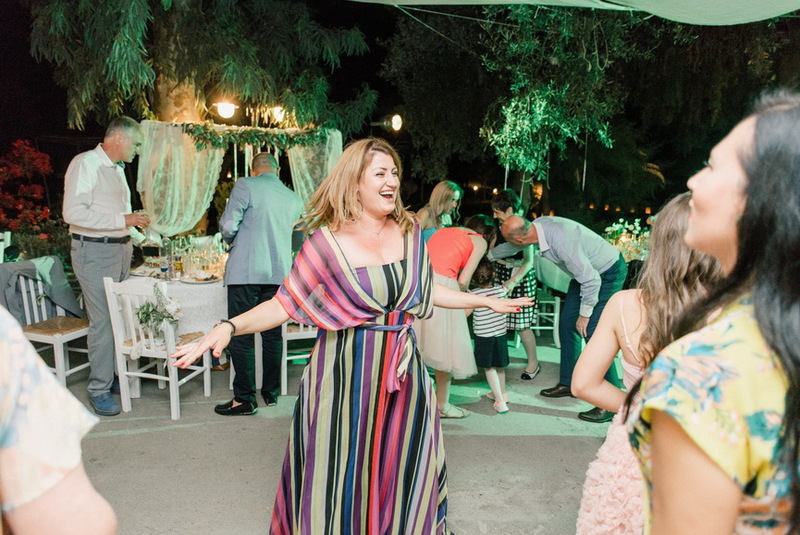 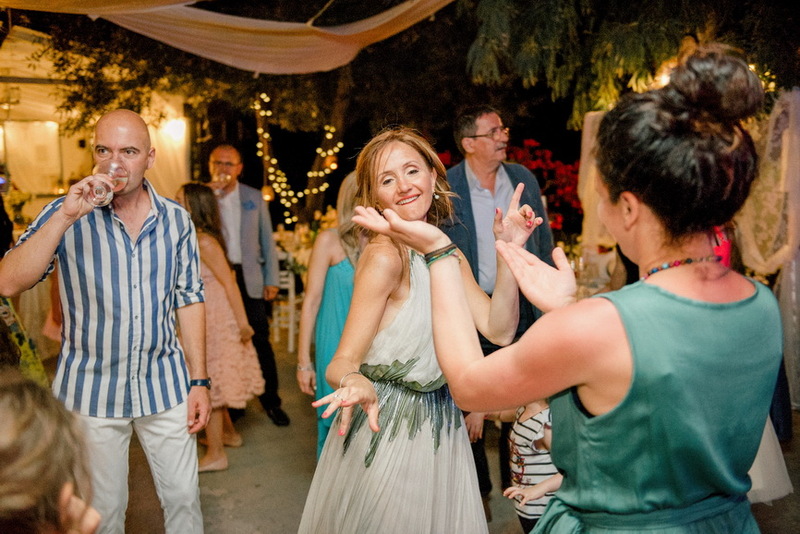 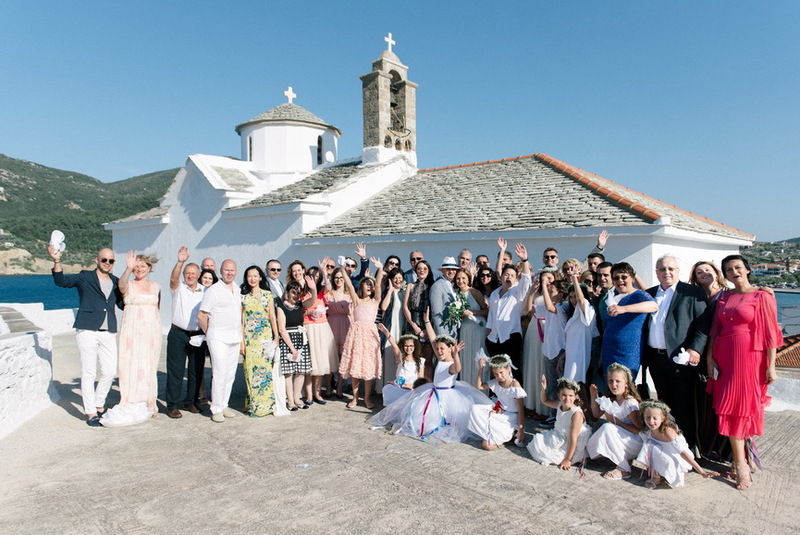 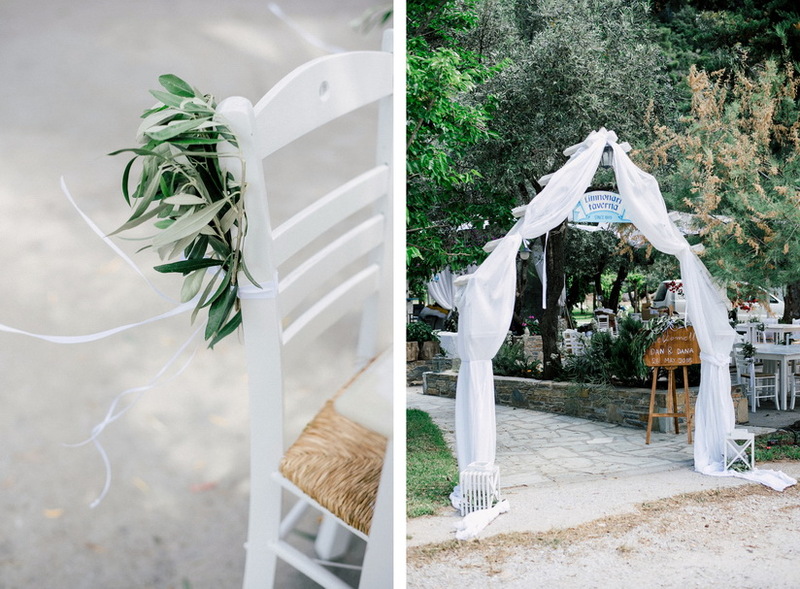 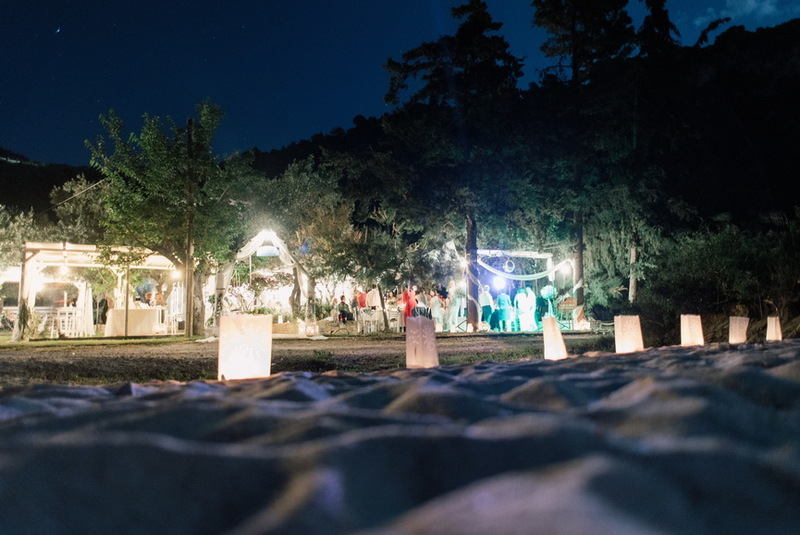 Skopelos seems to be the proper island to host a wedding as sparkling and elegant as this one. 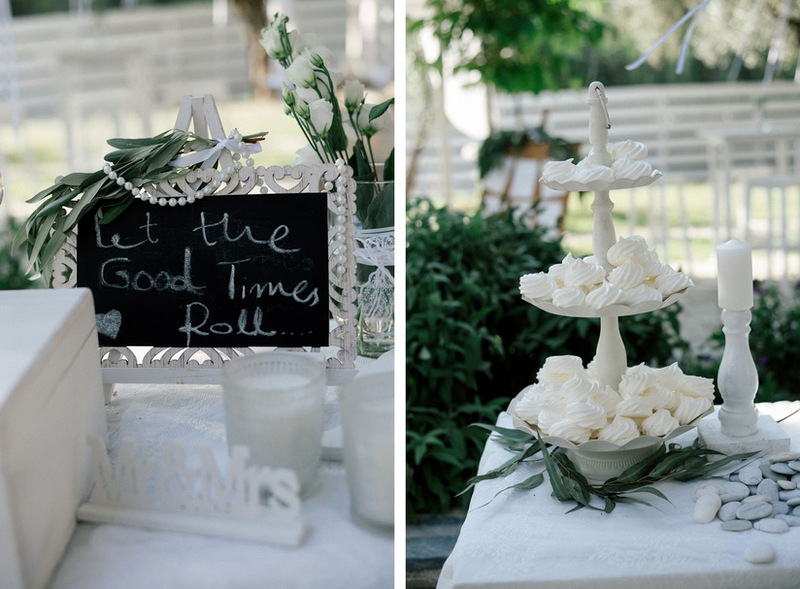 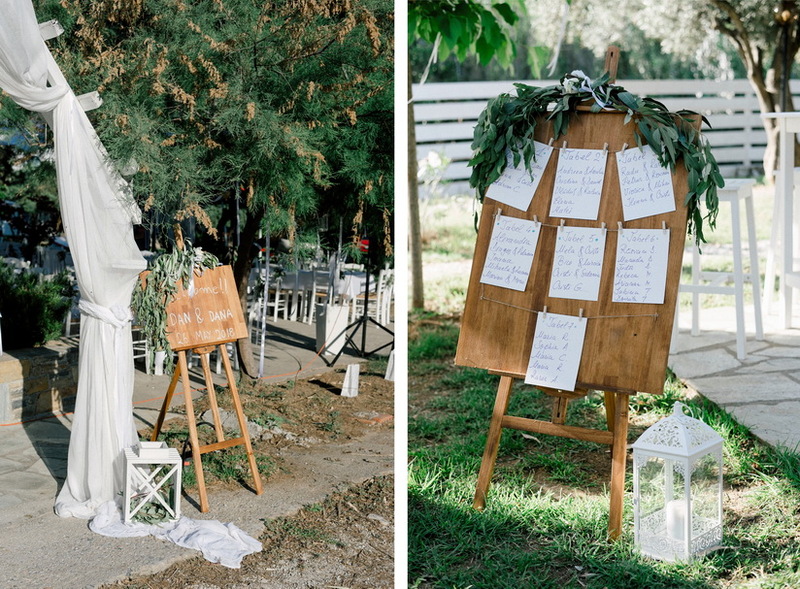 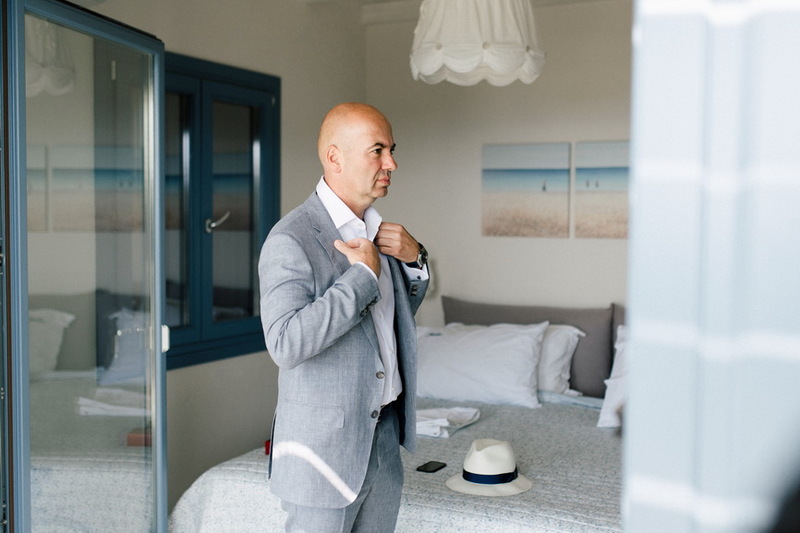 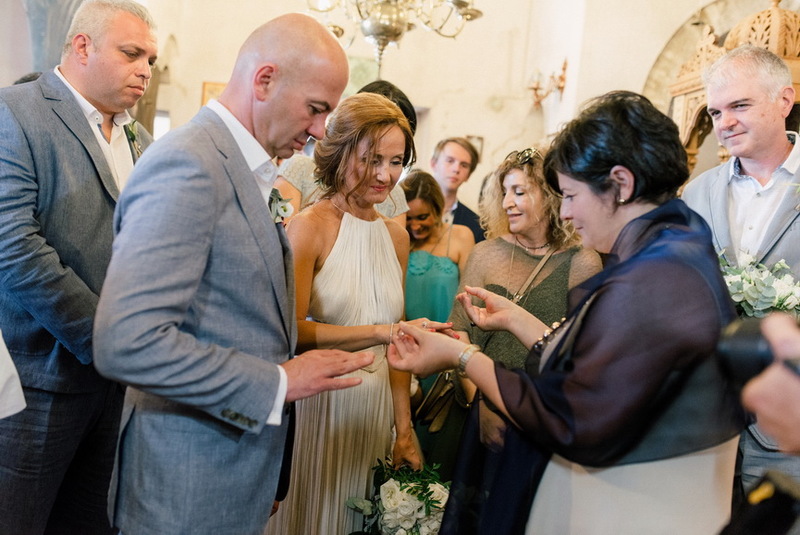 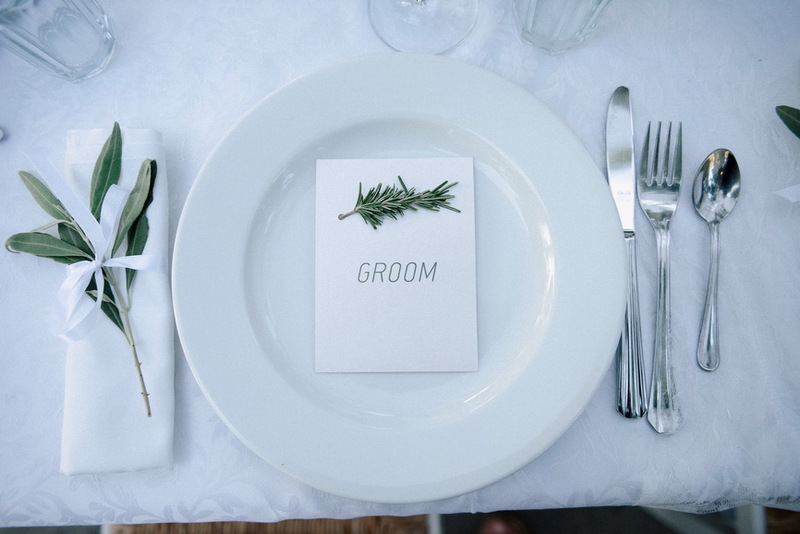 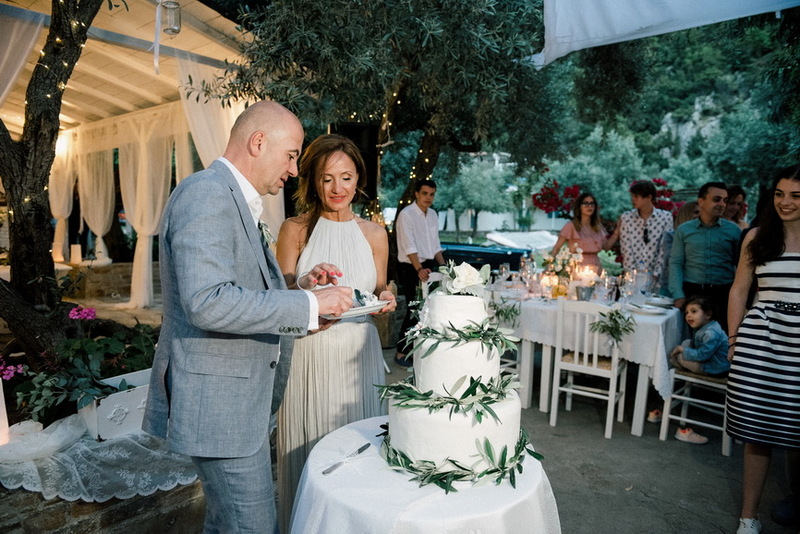 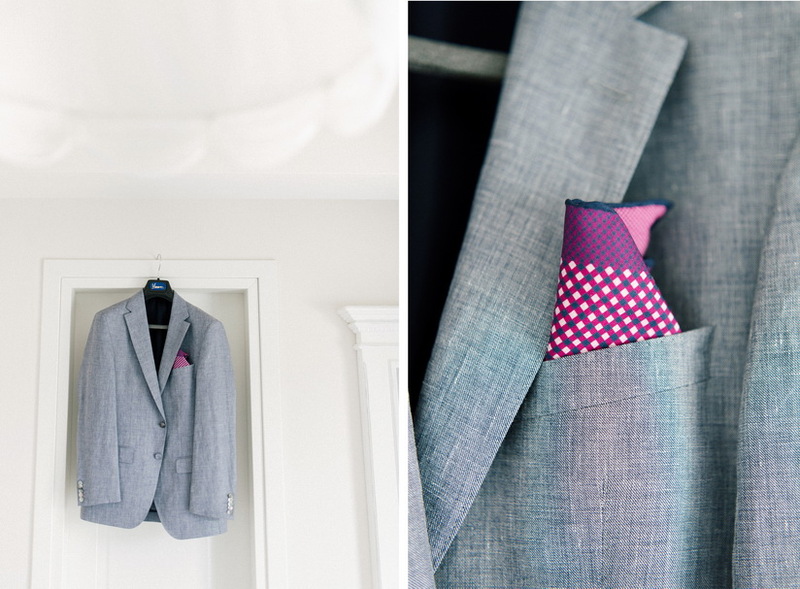 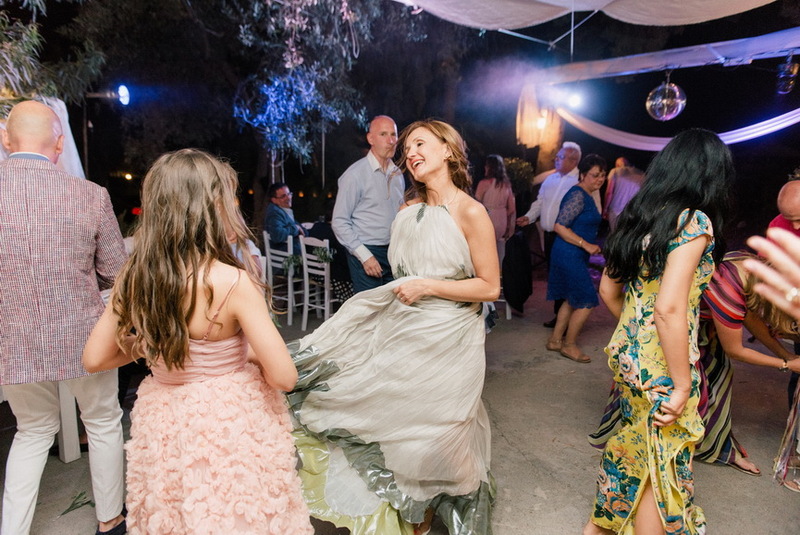 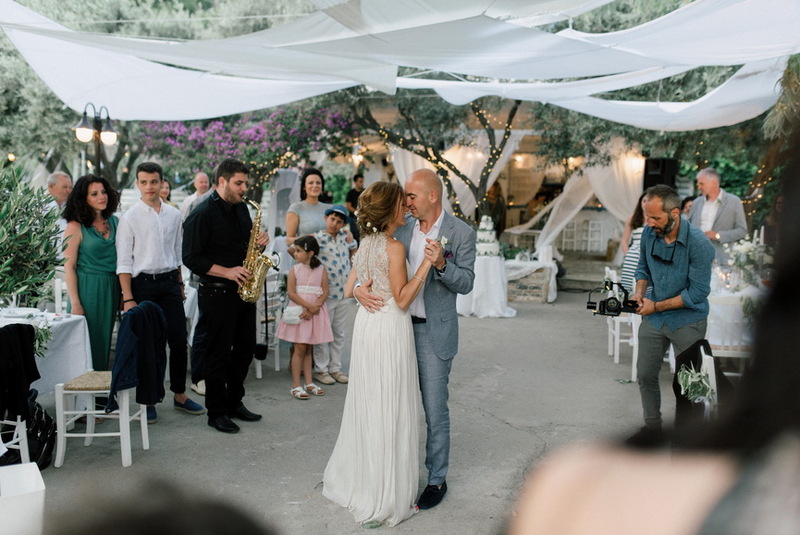 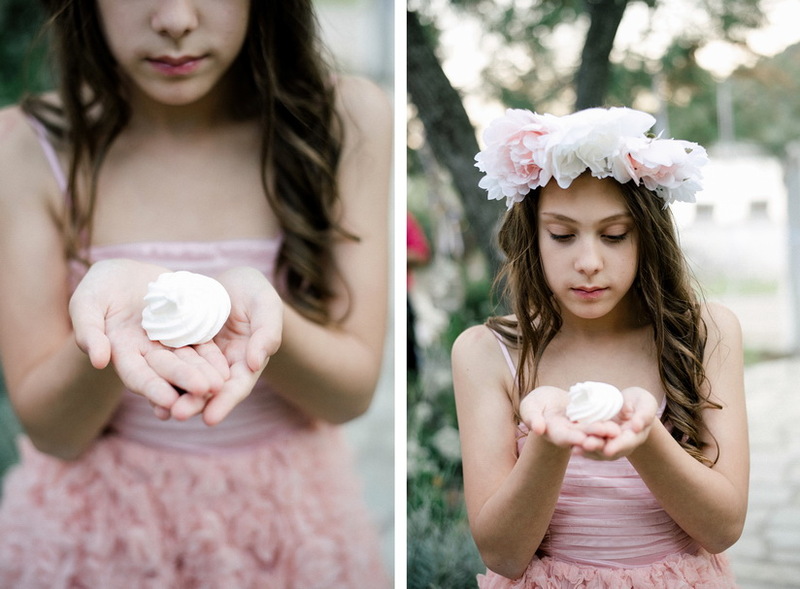 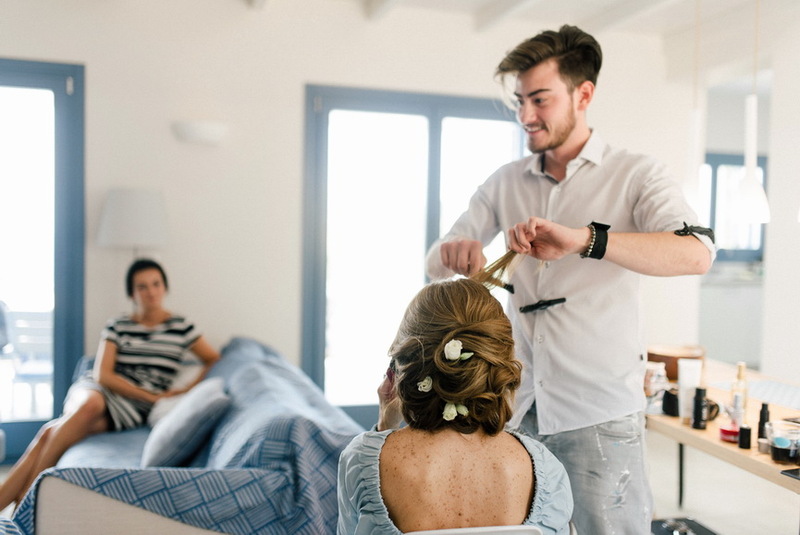 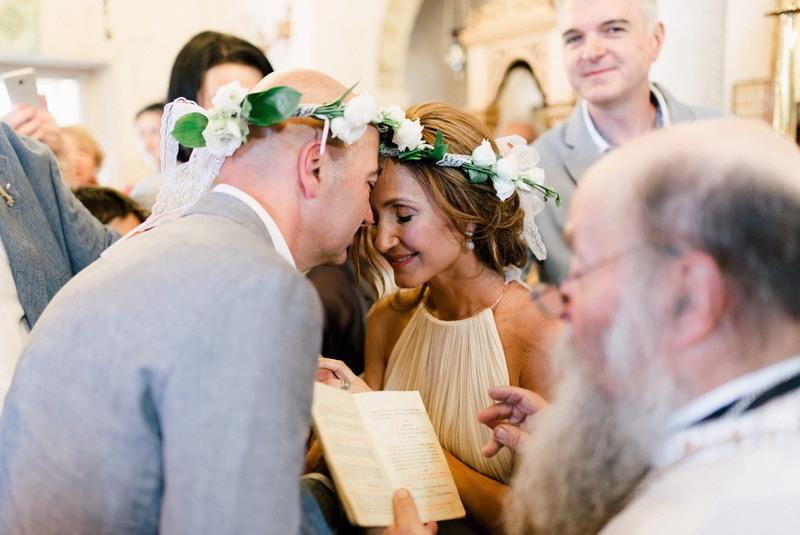 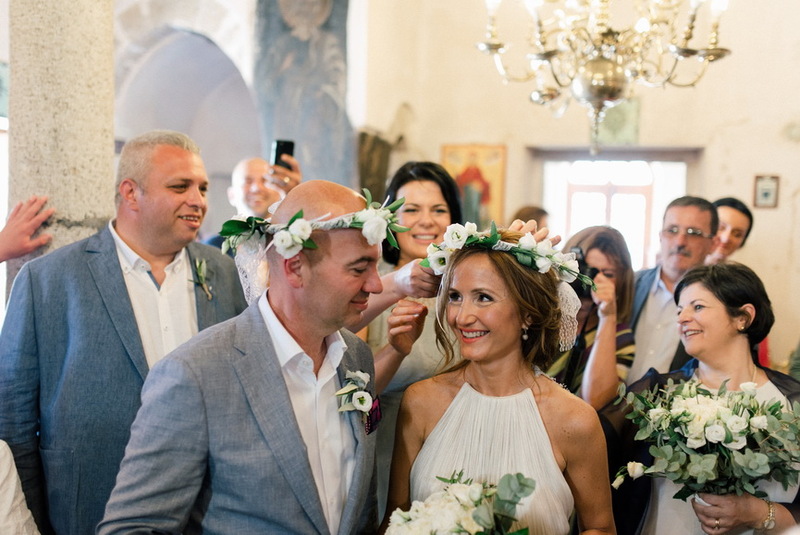 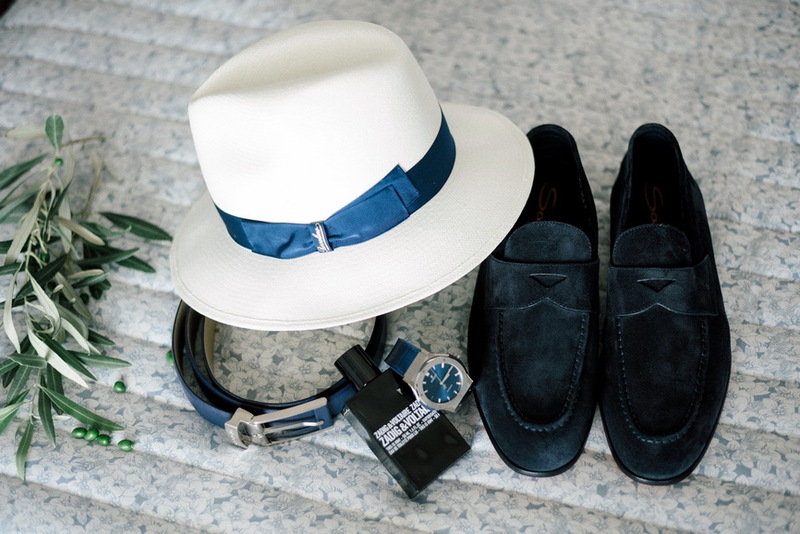 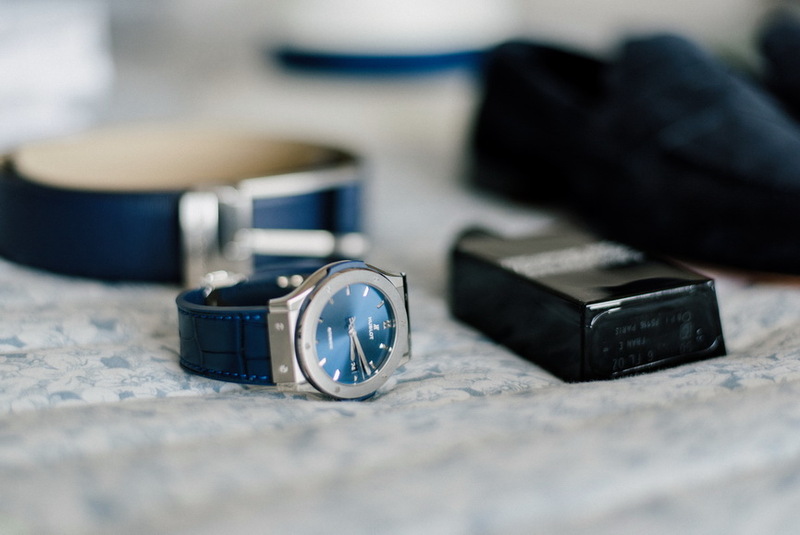 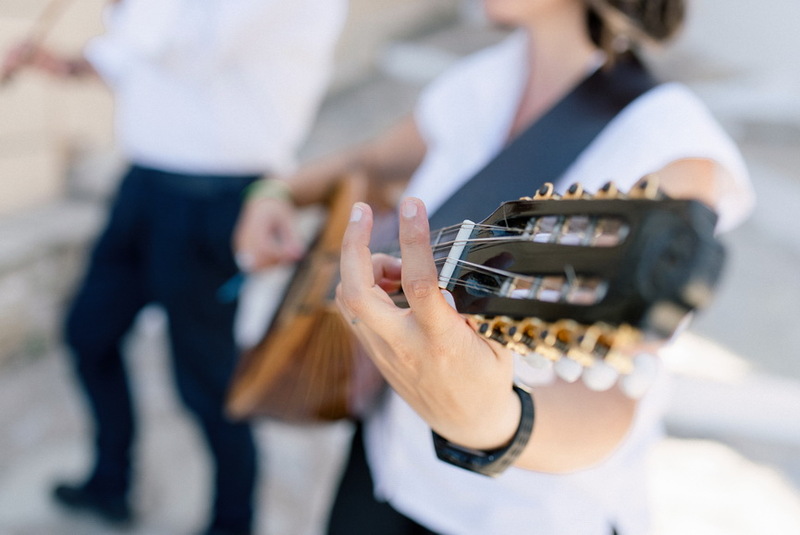 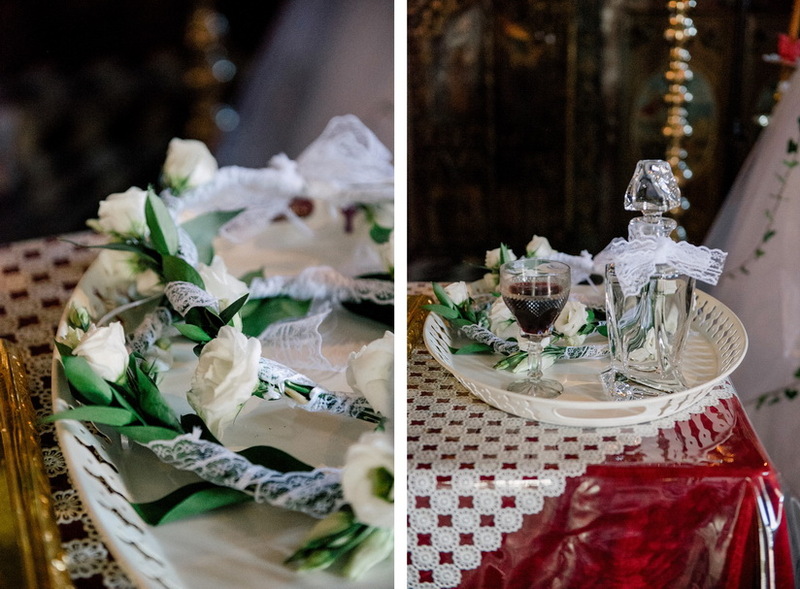 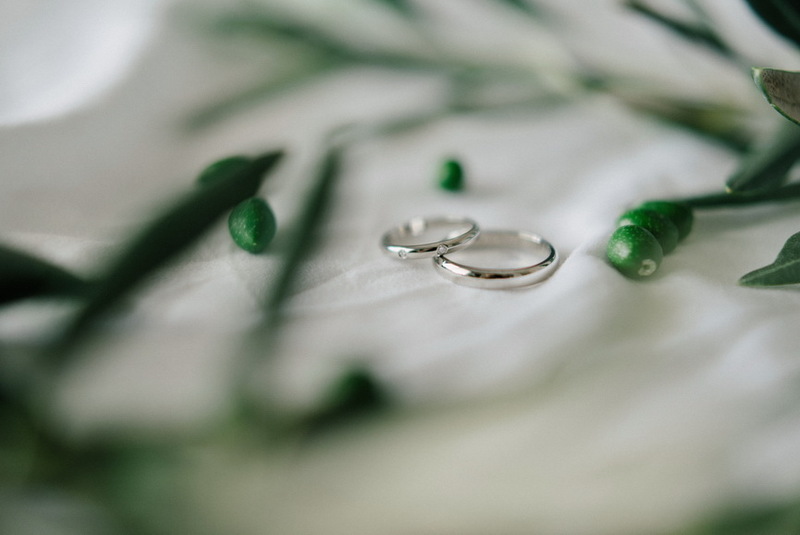 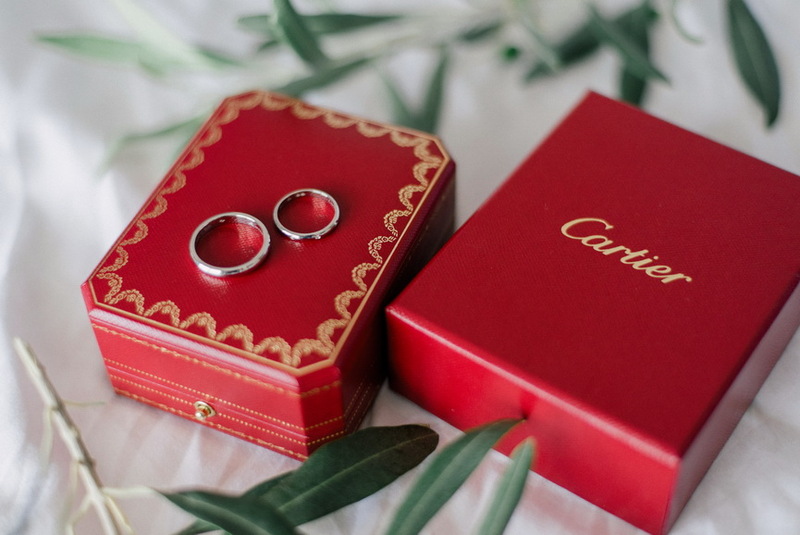 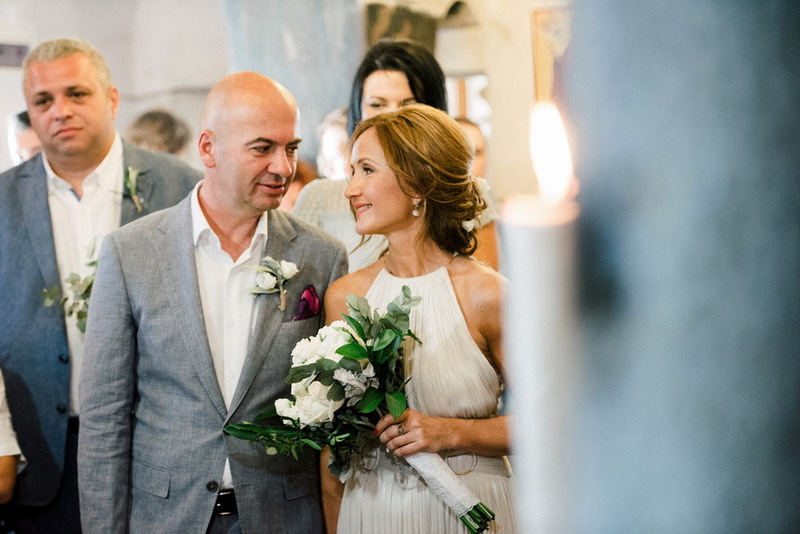 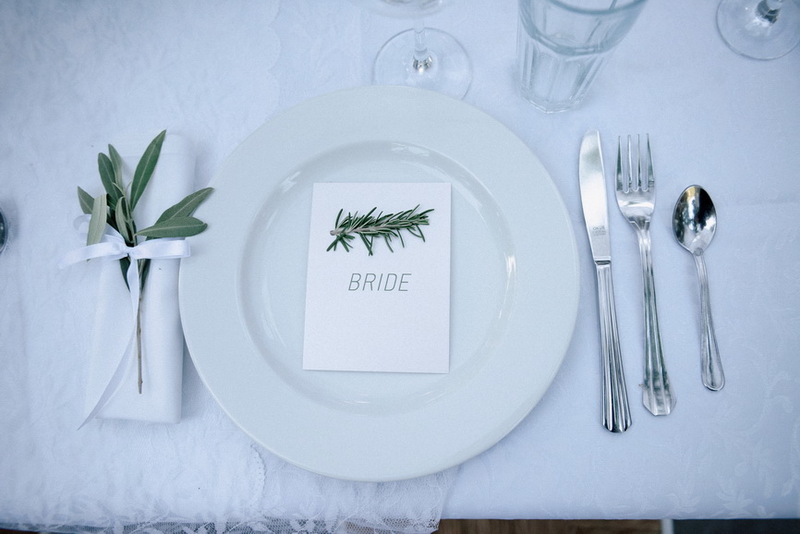 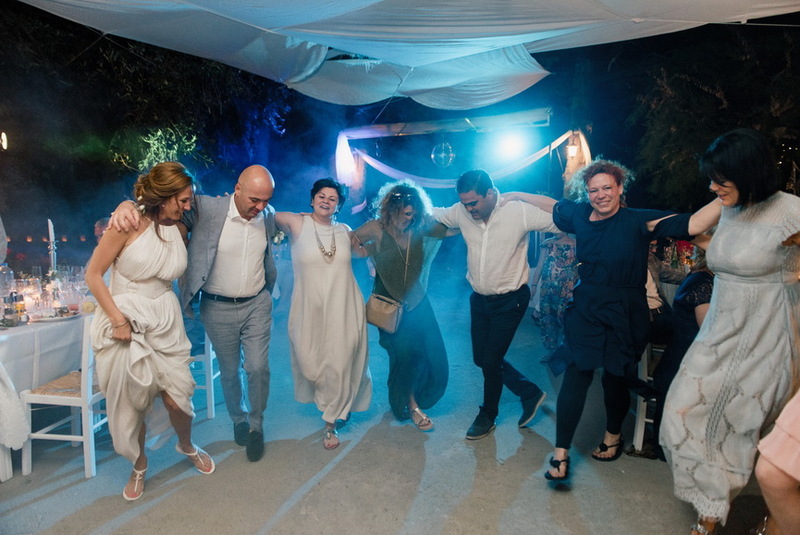 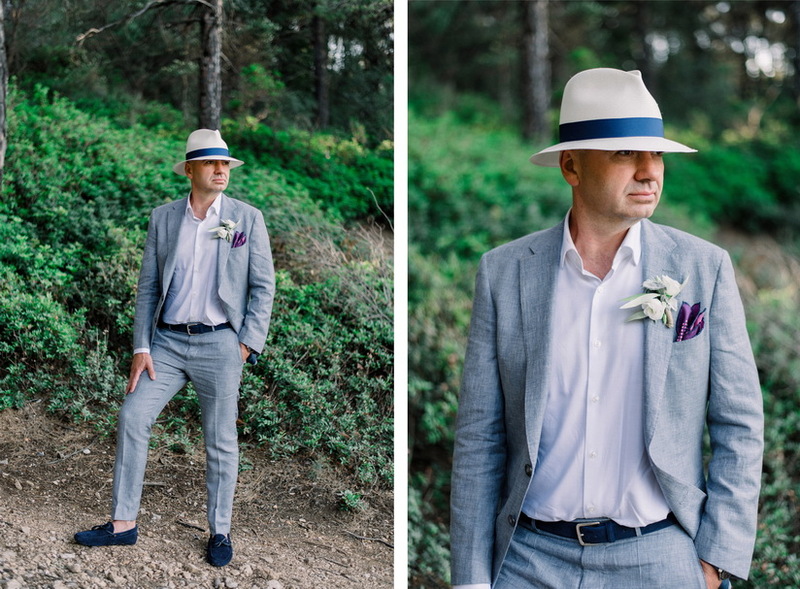 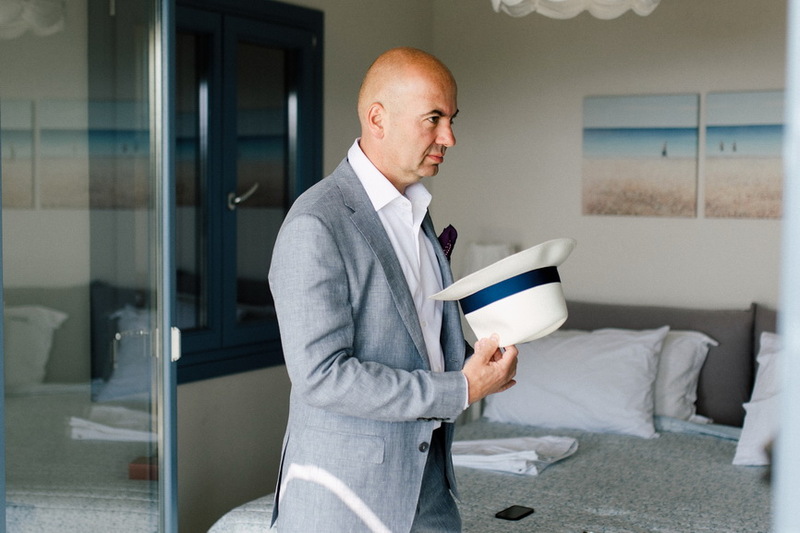 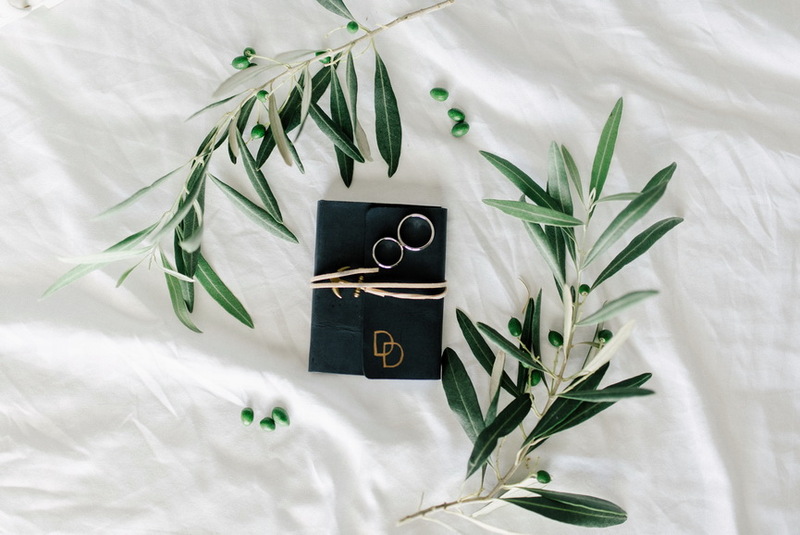 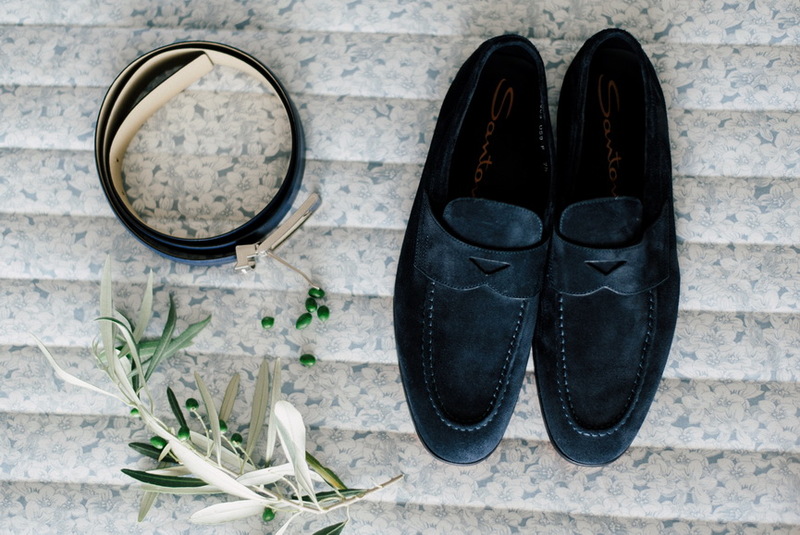 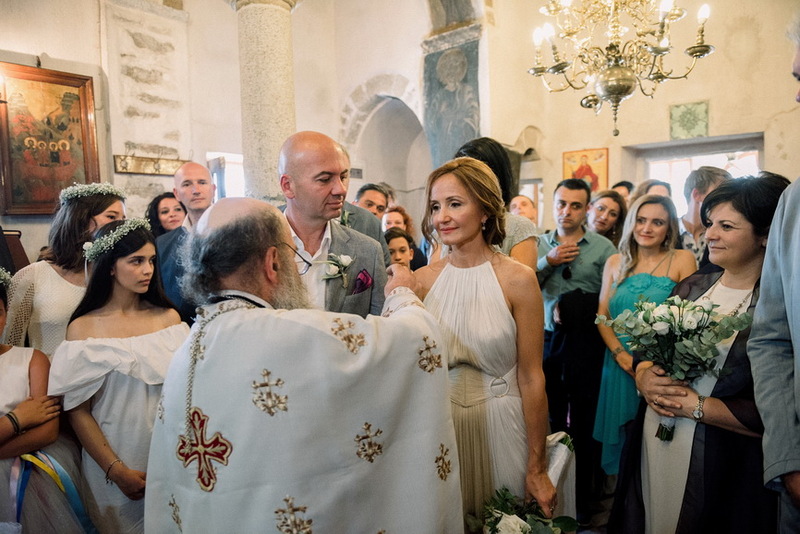 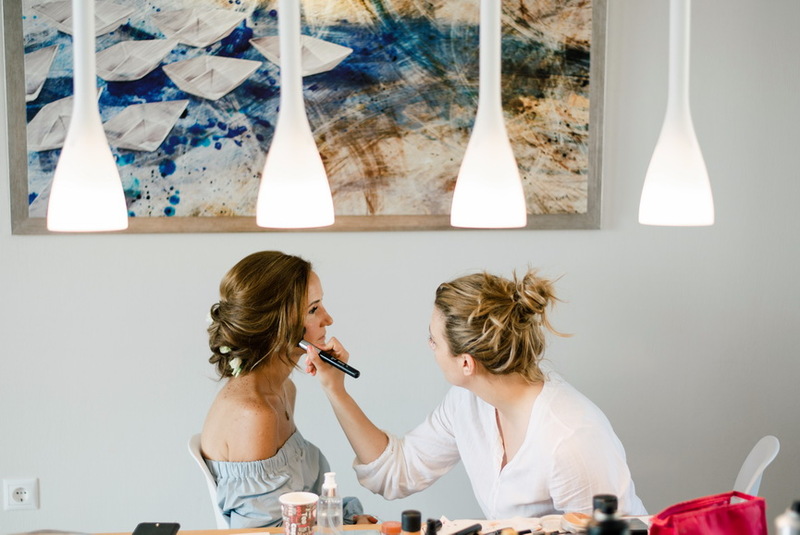 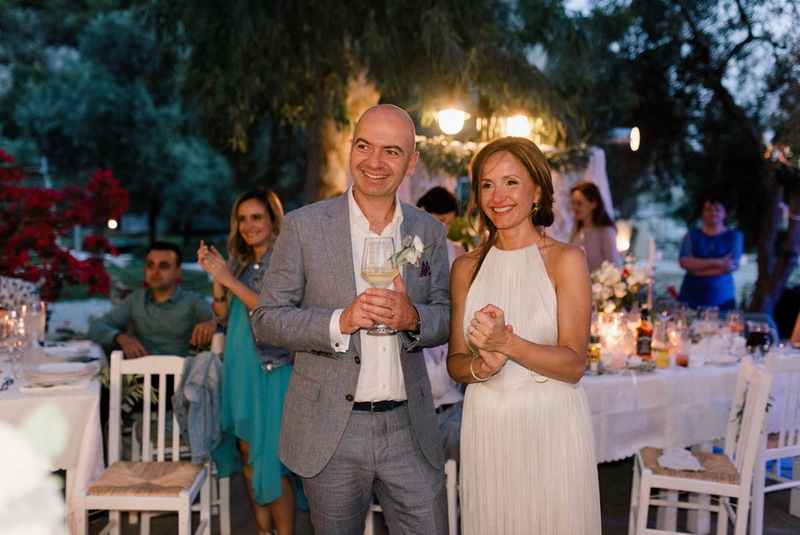 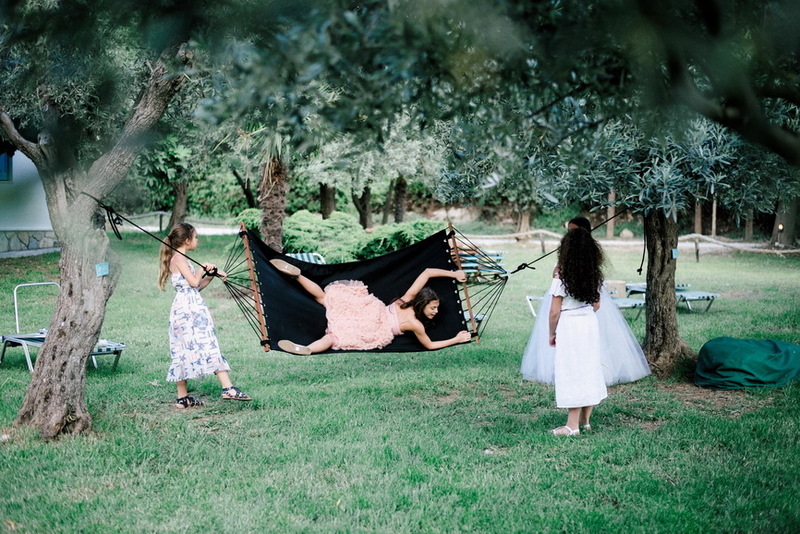 Every little detail was capture on film by Dimitris Papageorgiou’s Mirror Studio, who literally transformed every moment of the ceremony, the wedding table and the next day shooting in a poem-like narration. 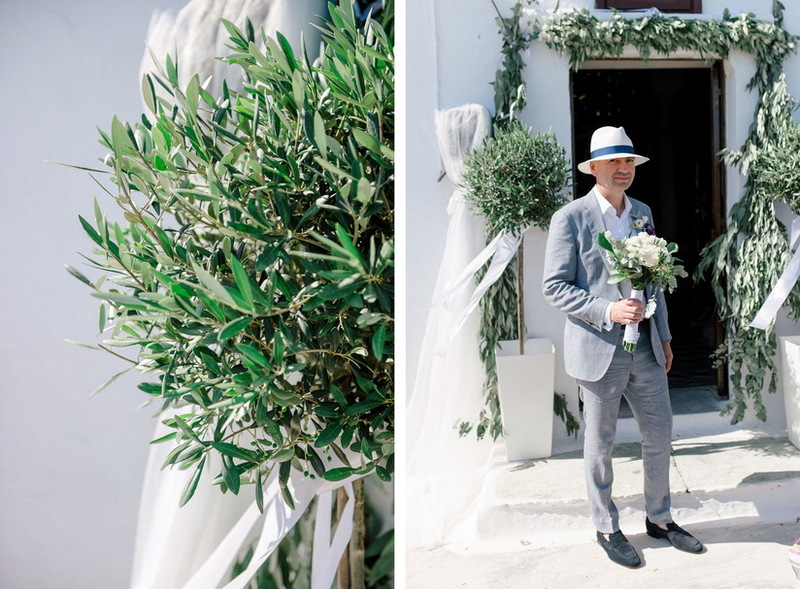 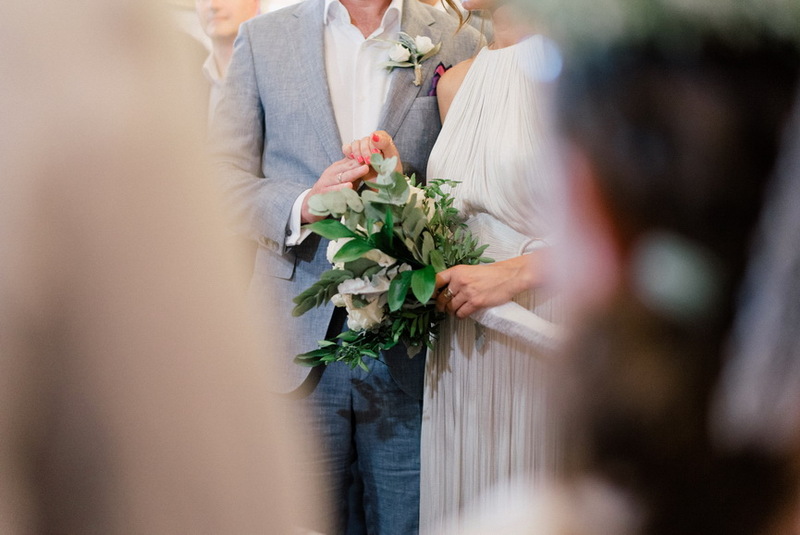 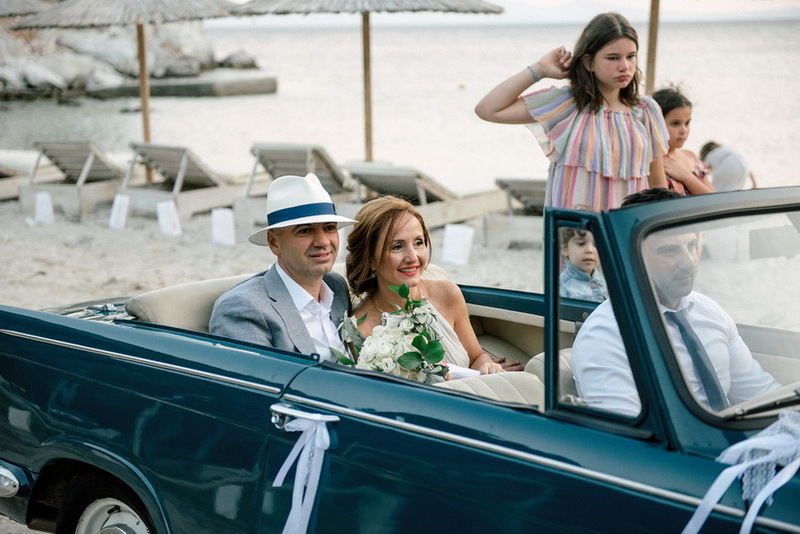 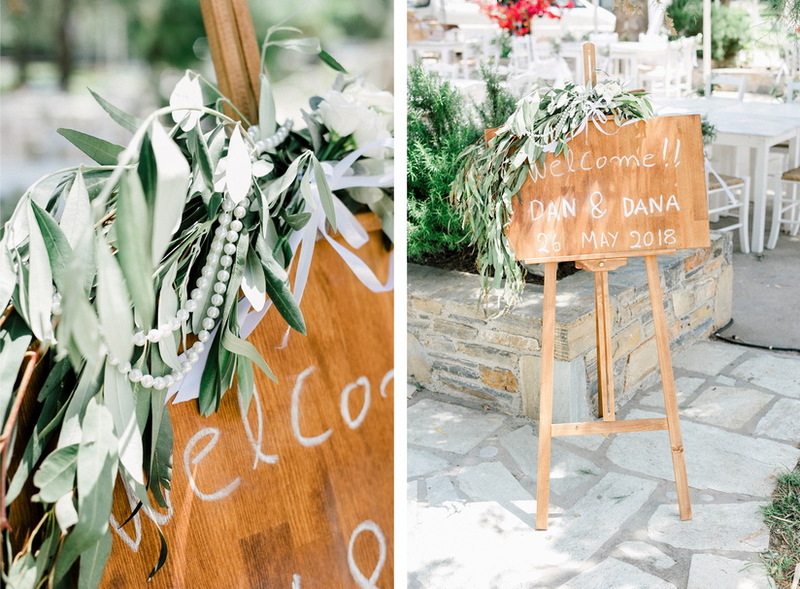 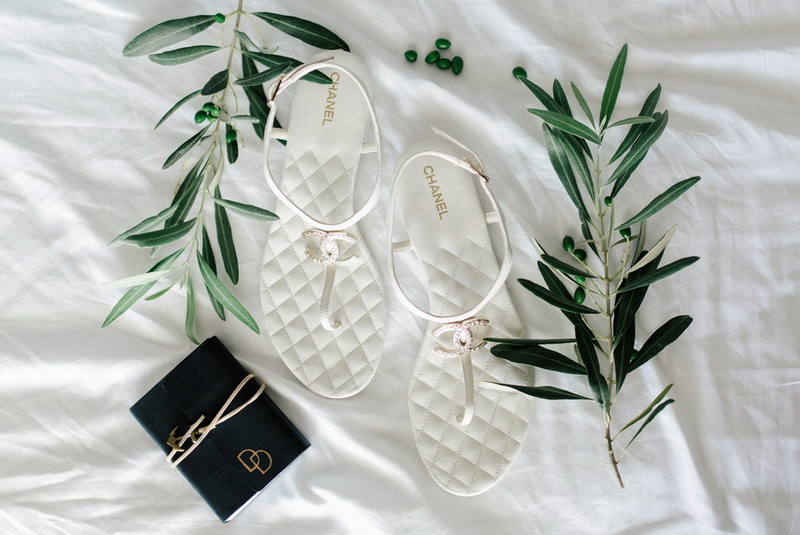 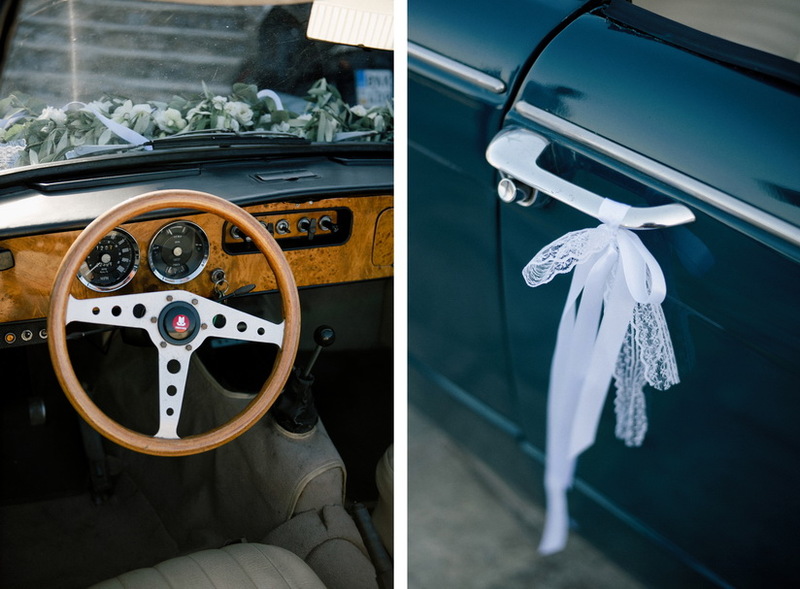 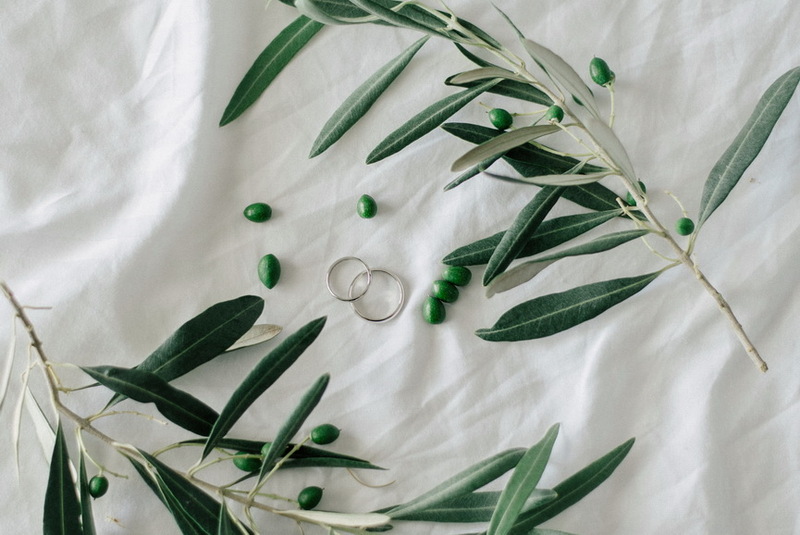 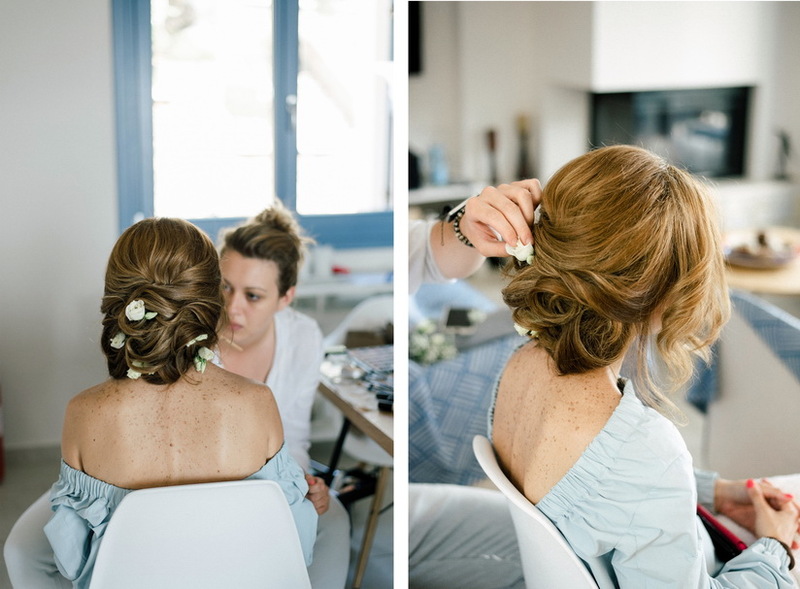 Aegean Dream Weddings emphasised on an unadorned decoration, based mainly on olive leaves and white ribbons, and I couldn’t help but notice how fabulously chic the bride looked, as she was enjoying the most special day of her life in a flowing wedding dress with a laced back. 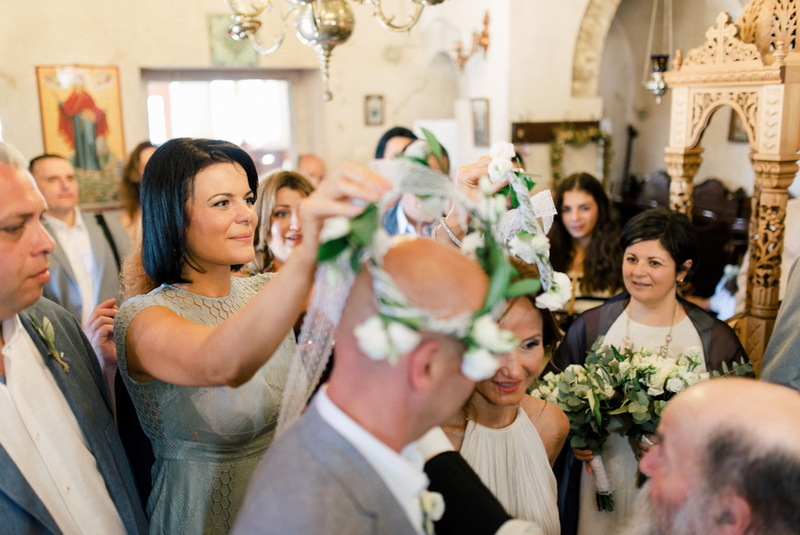 I thought the bride’s bouquet, which combined eucalyptus, olive leaves, lisianthus in the hue of ivory and white roses, was matching perfectly with the colours surrounding it, and I was happy to see the guests enjoying an inspired wedding table decoration, surrounded by green and white details after the ceremony. 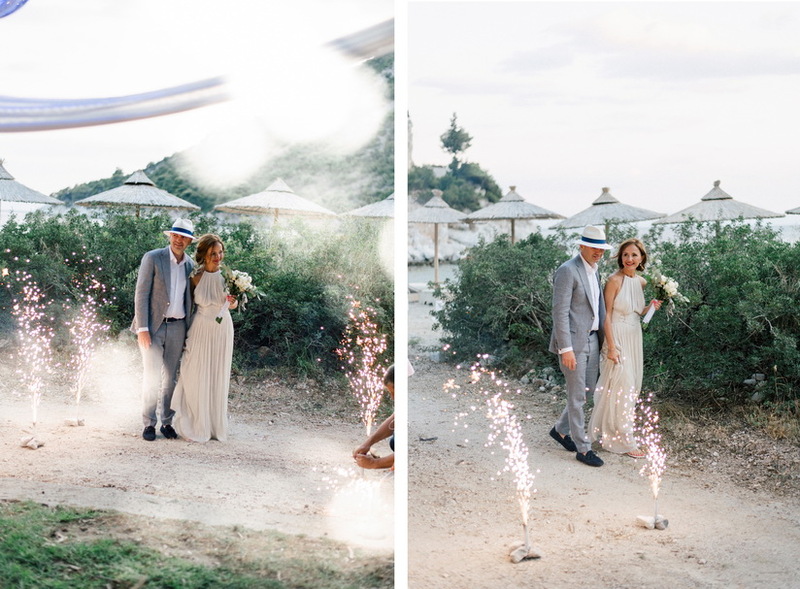 As for the newlyweds, you can see in the photos below how happy and united they look in every step of the way into their new life, especially on those magic moments that the fireworks created.